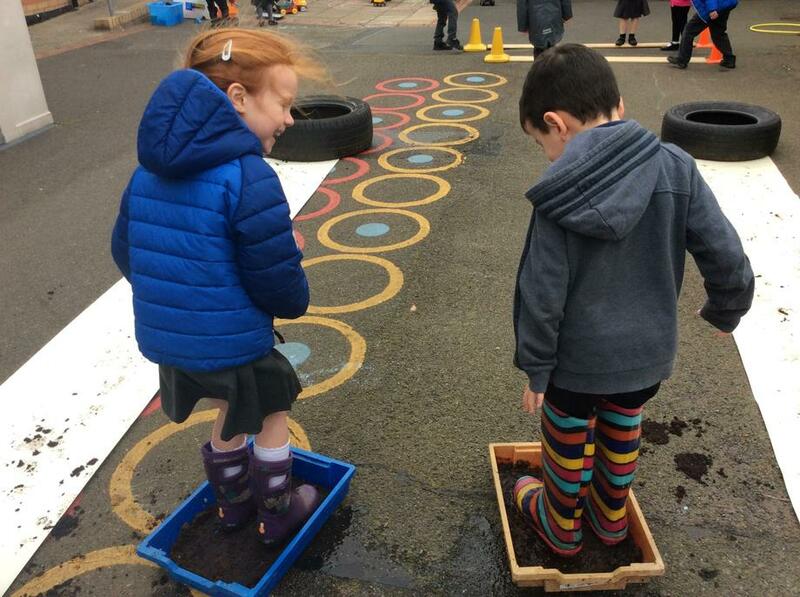 We are like little seeds who have been planted in the foundations of learning. 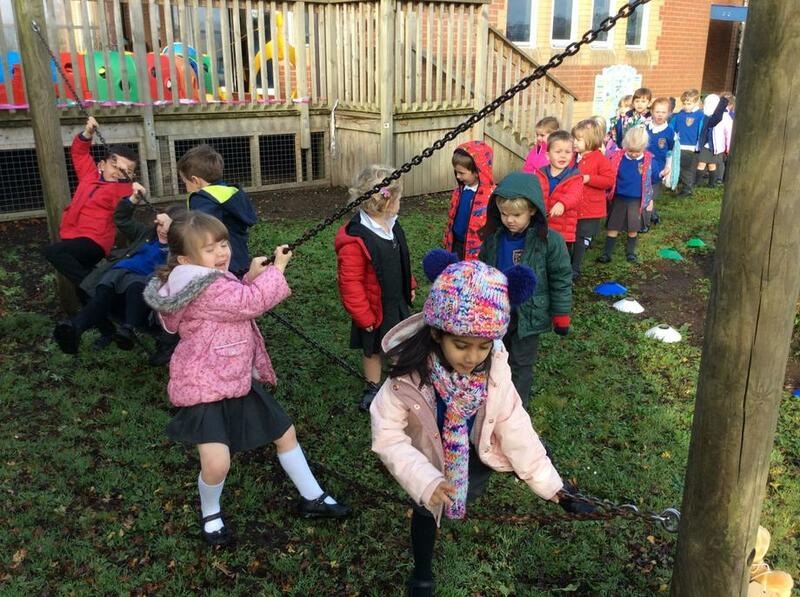 We hope to grow strong and well nourished, ready for Key stage 1 and 2. 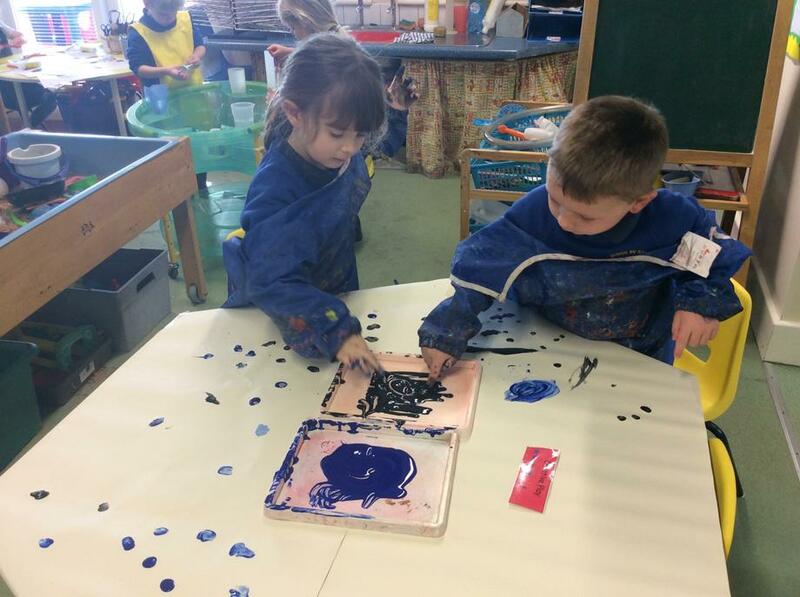 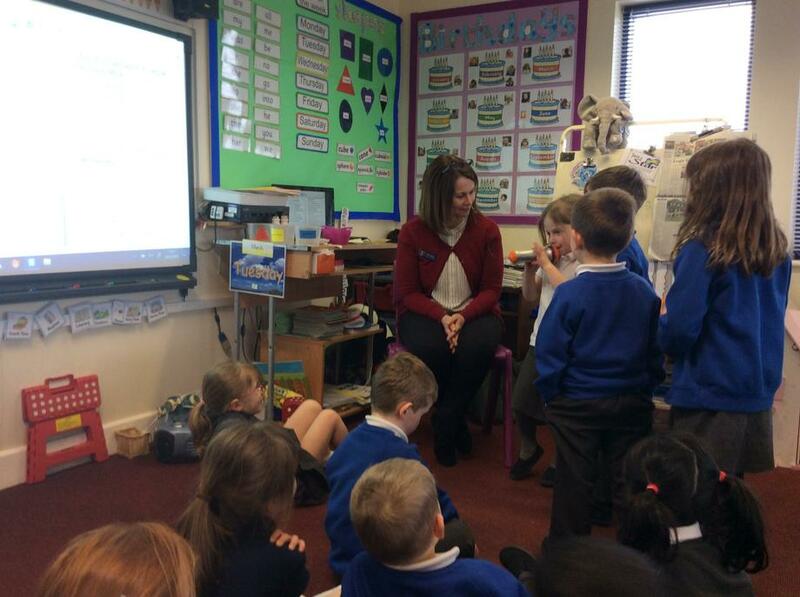 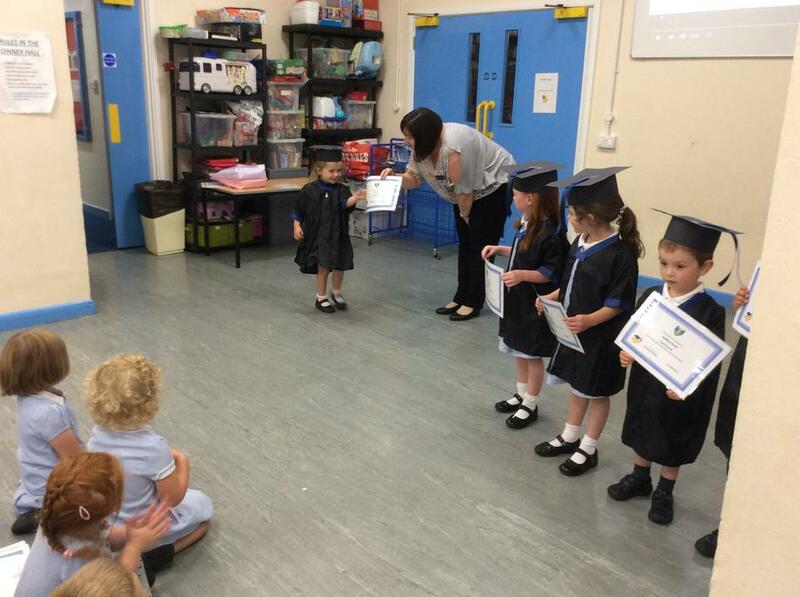 Our teacher is Mrs Ryan and our senior teaching assistant is Miss Cook, who will support us in a variety of fun learning experiences throughout the year. 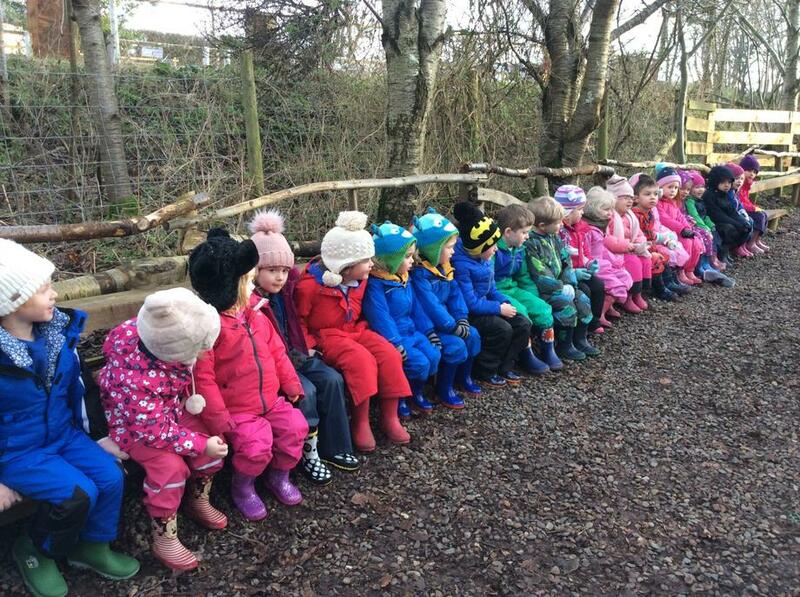 We would like to share some of these special times with you on our page, so please enjoy browsing! 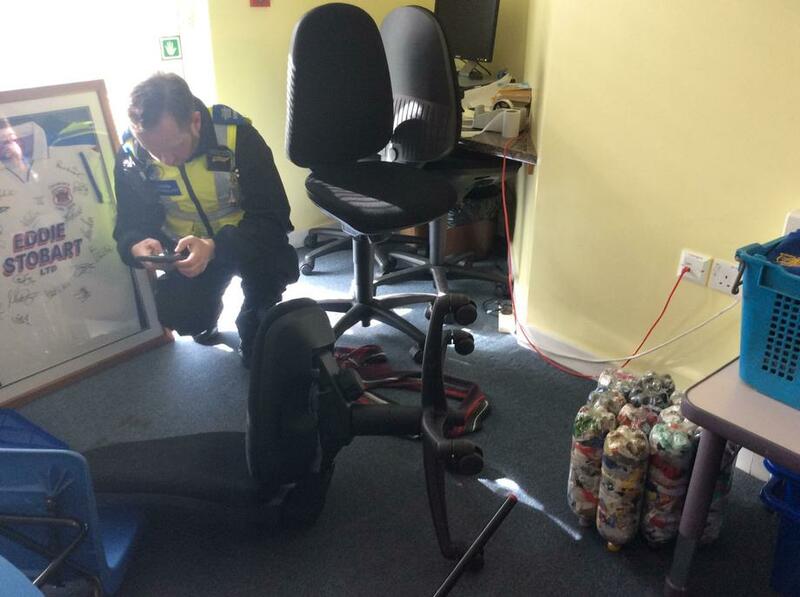 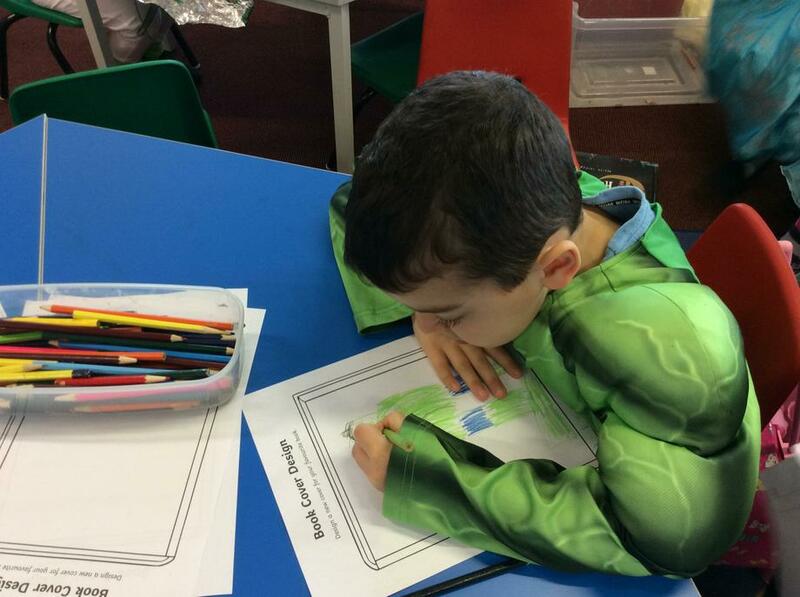 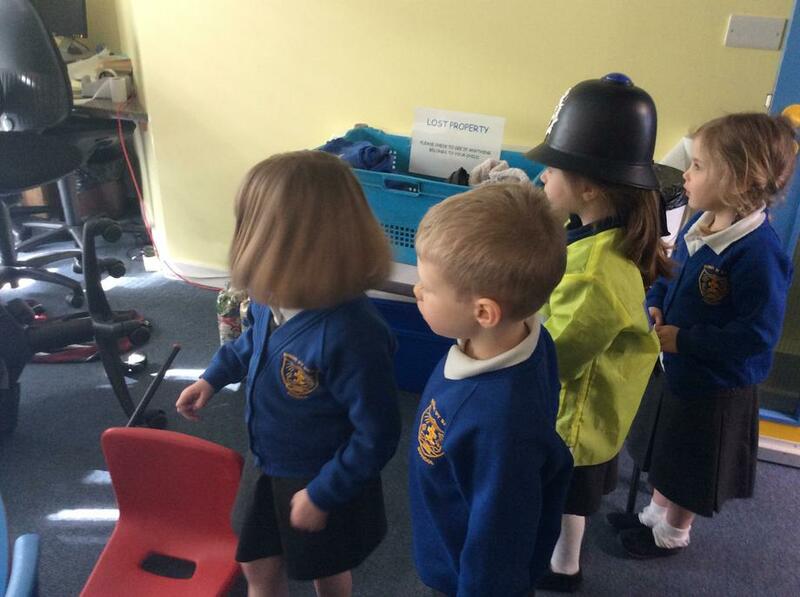 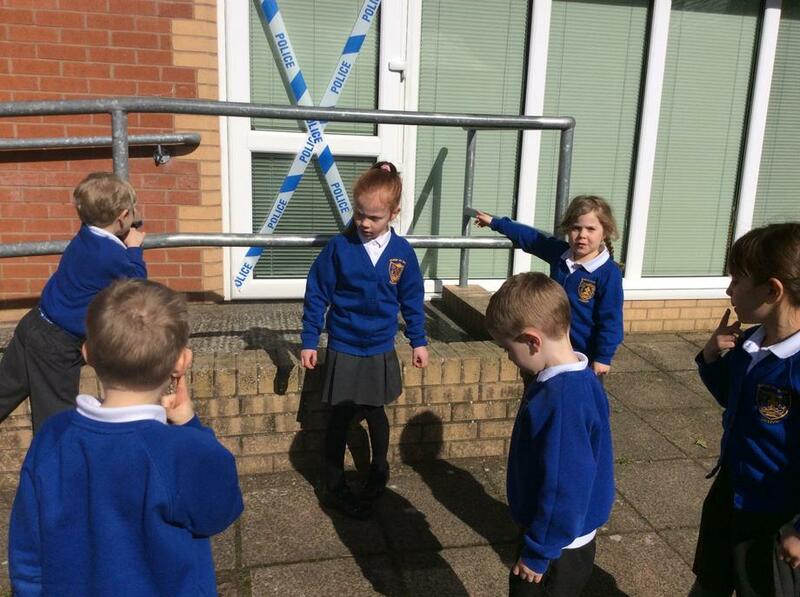 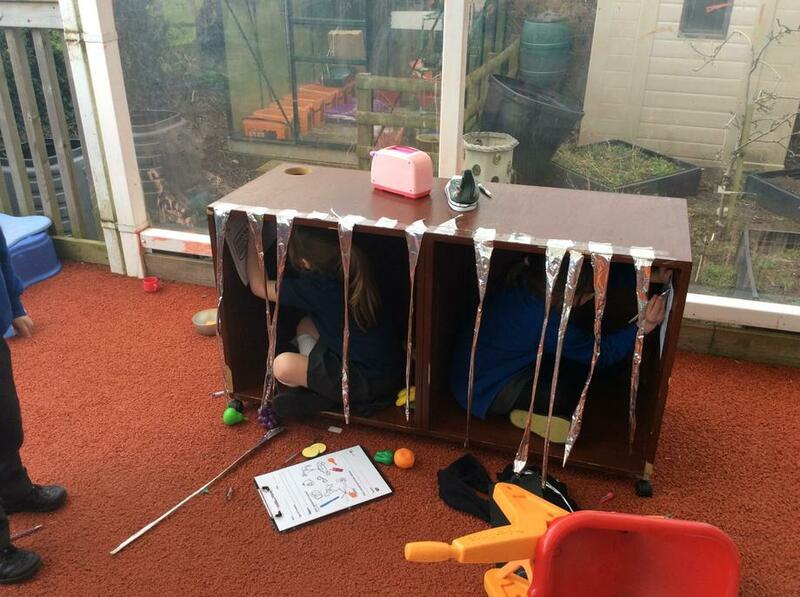 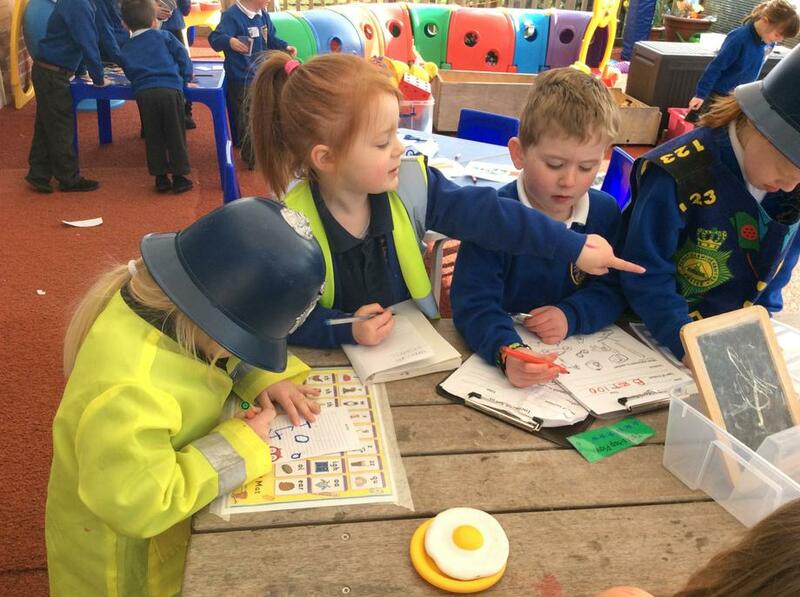 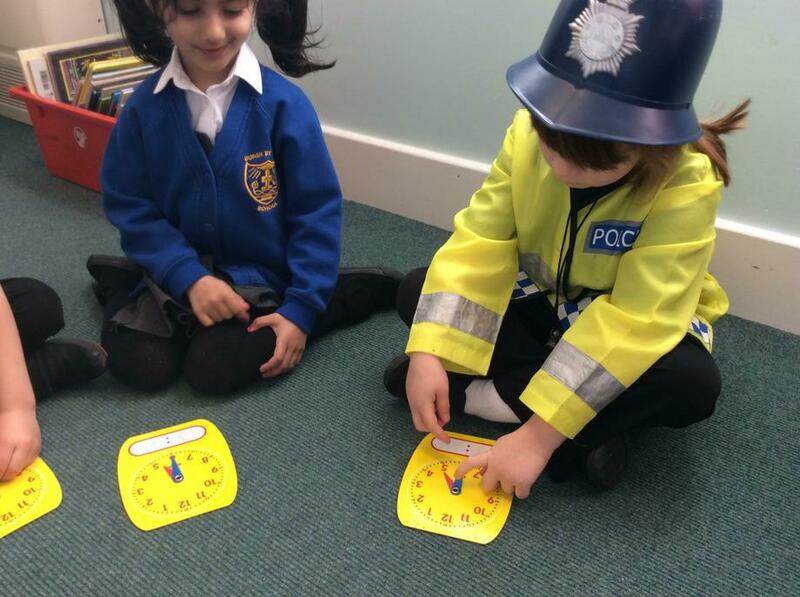 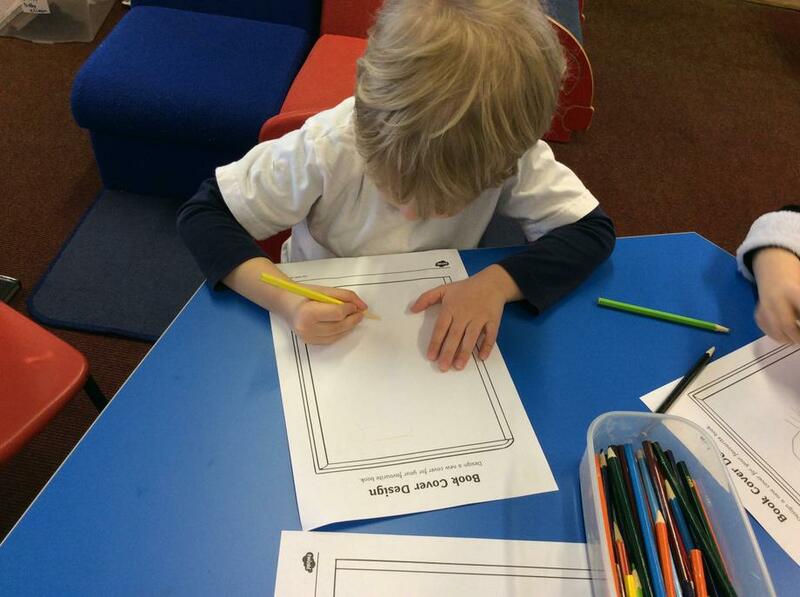 Writing Focus Week - we used a staged burglary to create exciting and inspired writing! 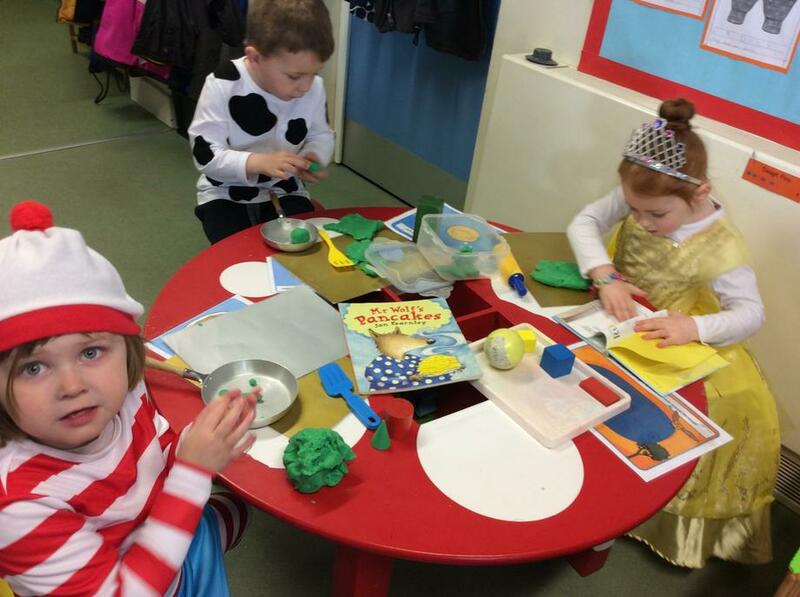 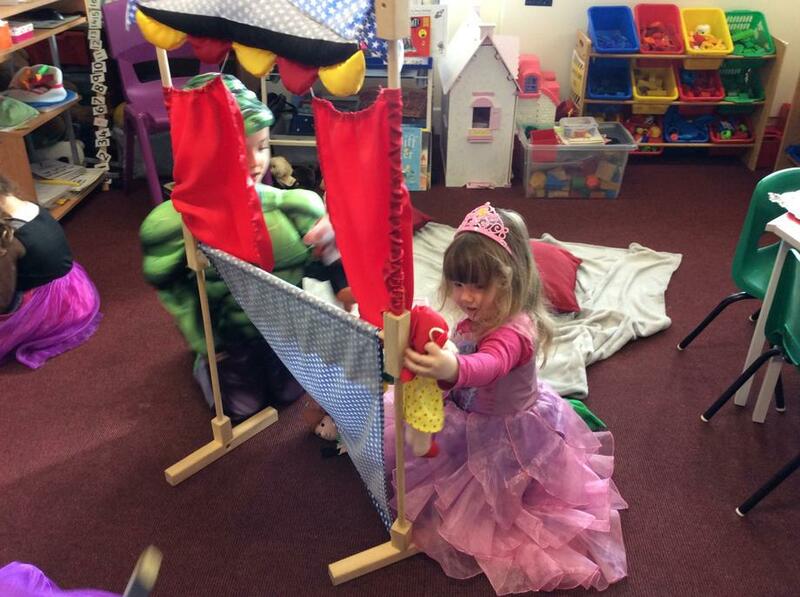 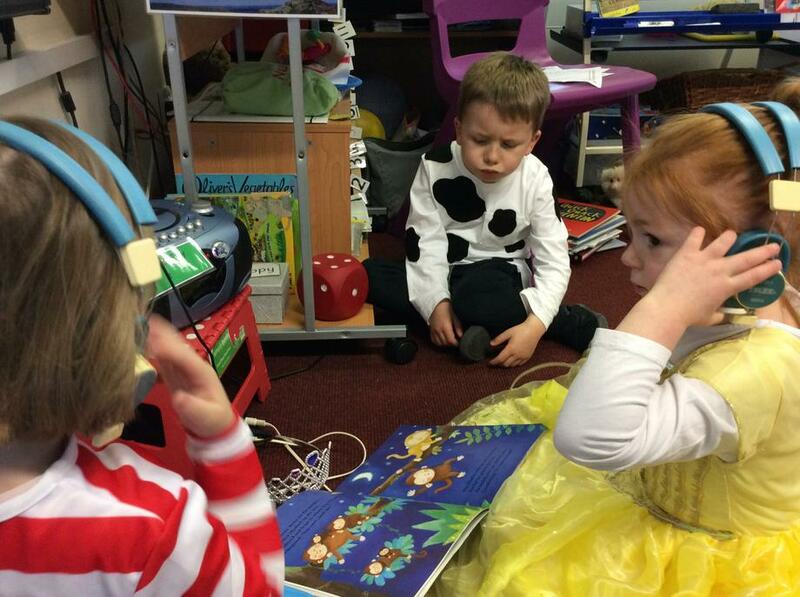 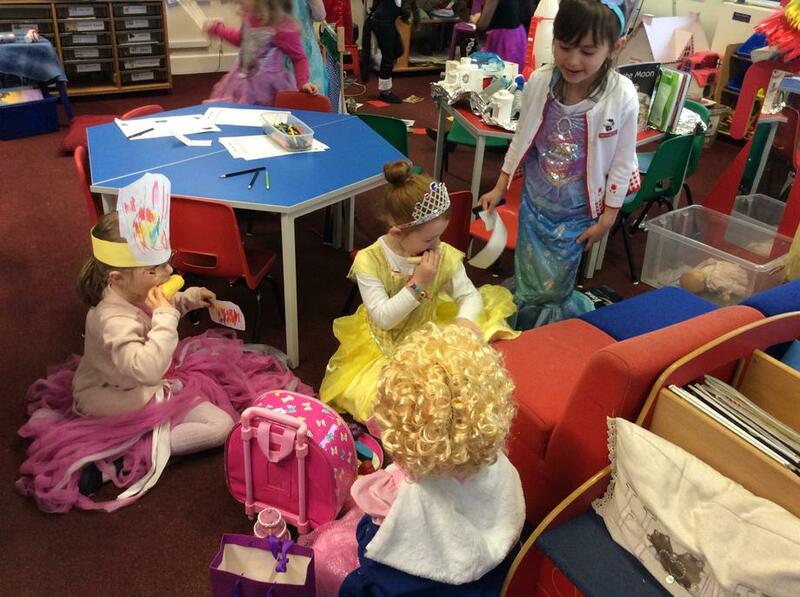 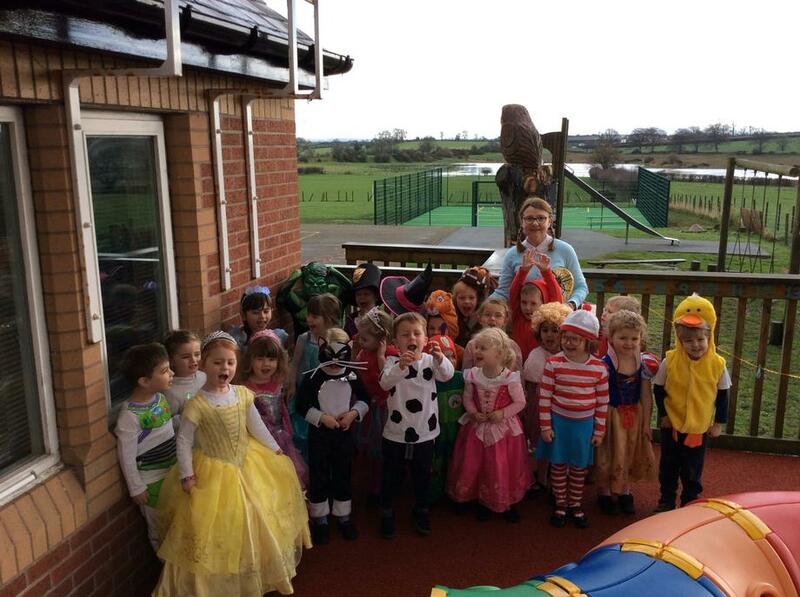 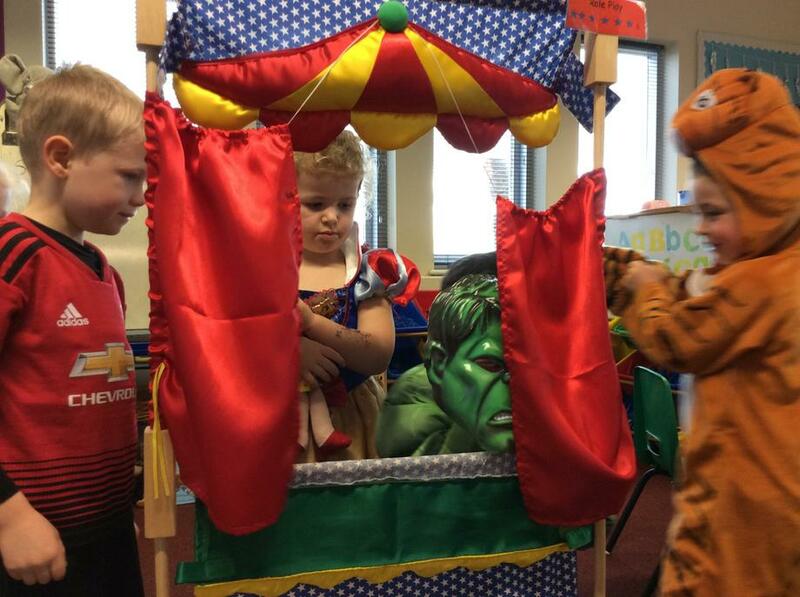 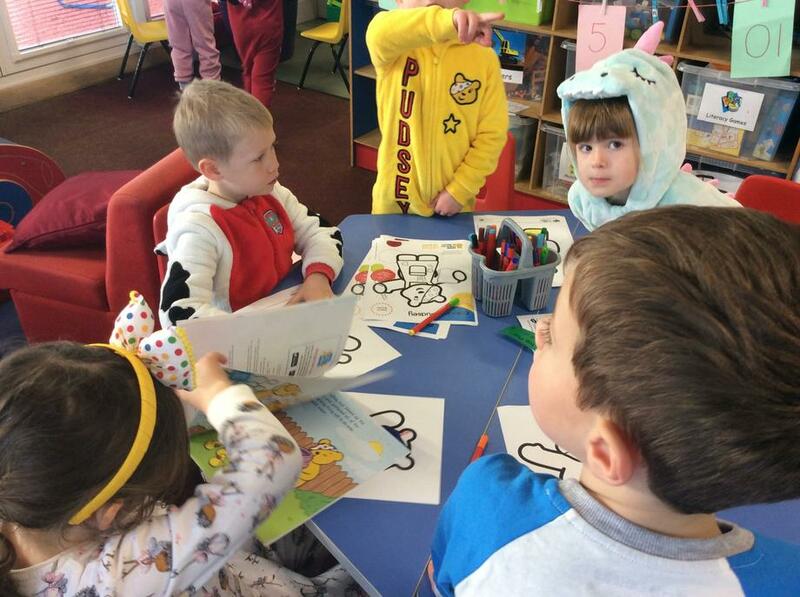 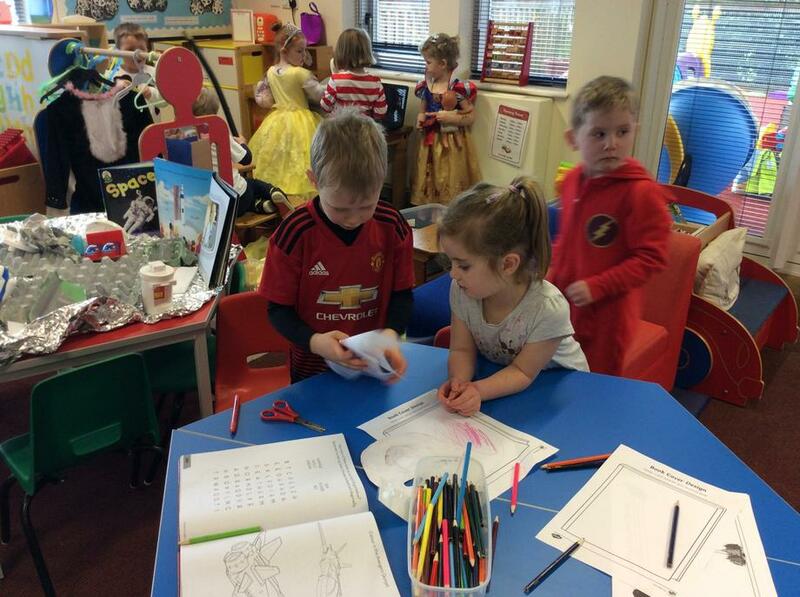 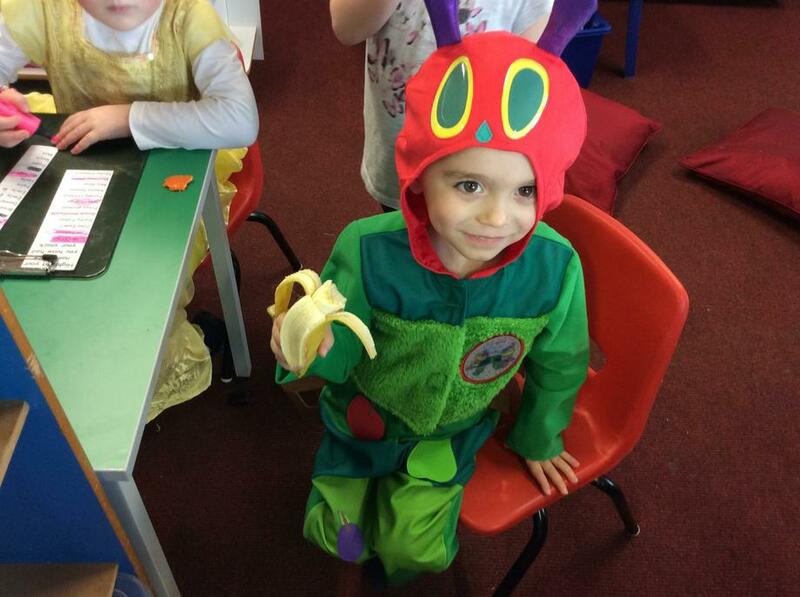 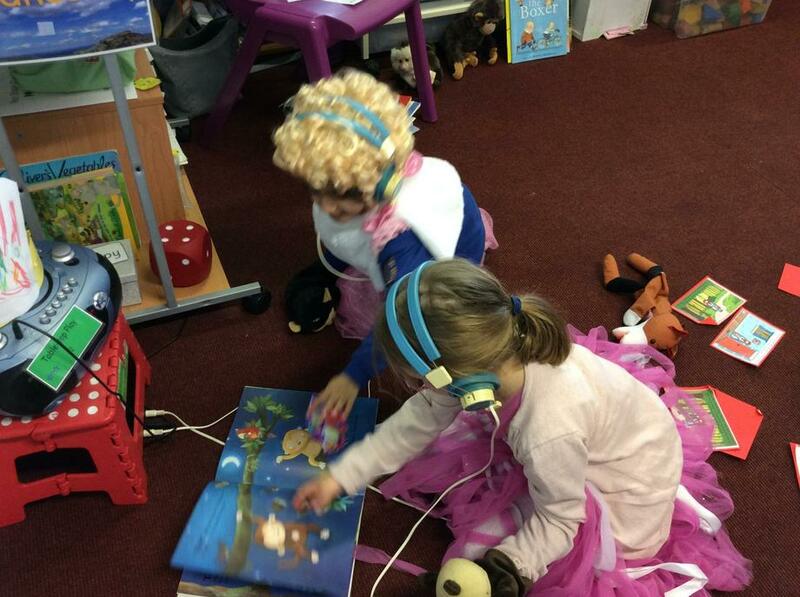 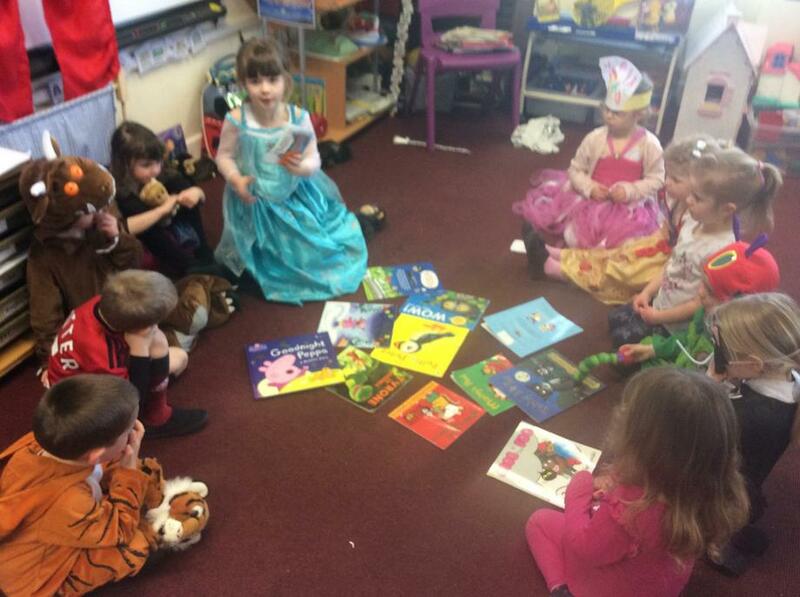 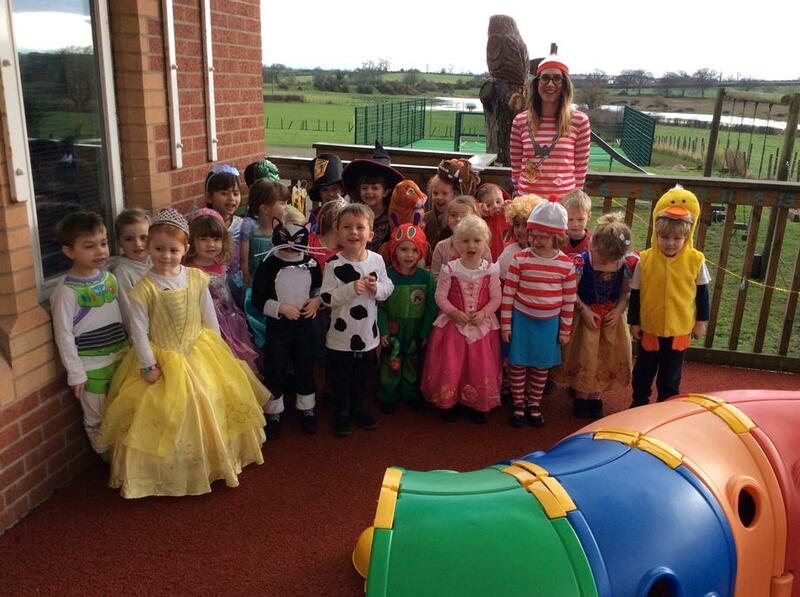 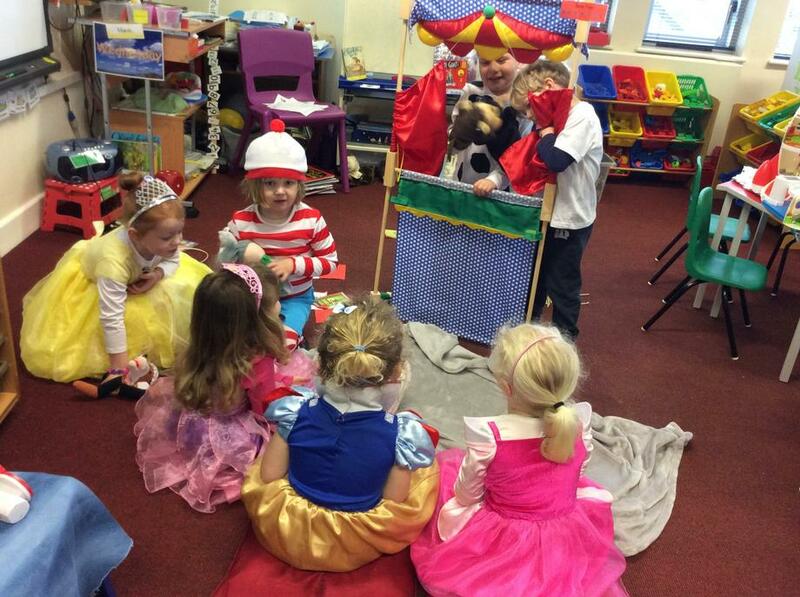 World Book Day was great fun! 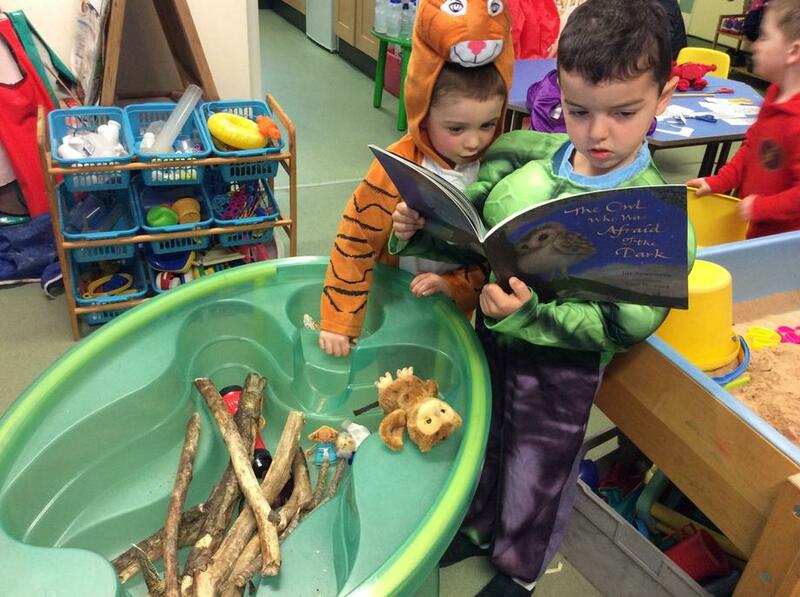 Lots of reading and tasks related to reading. 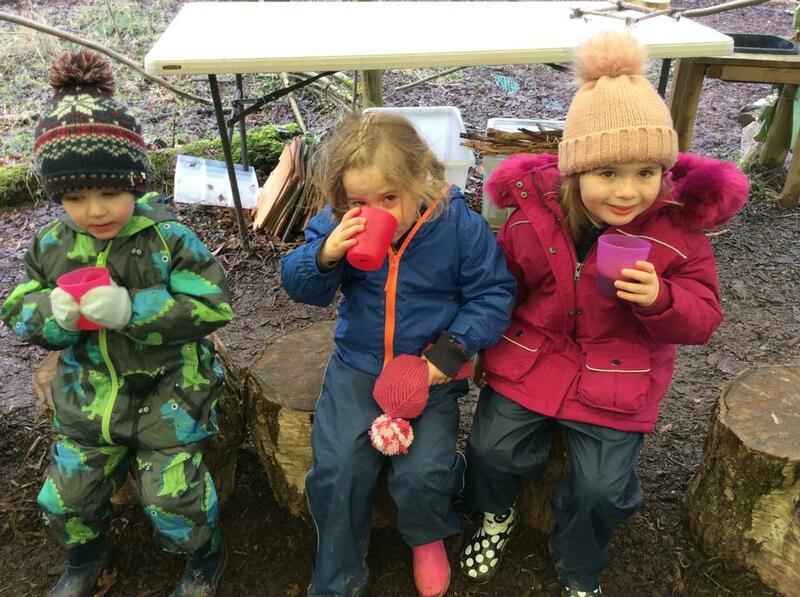 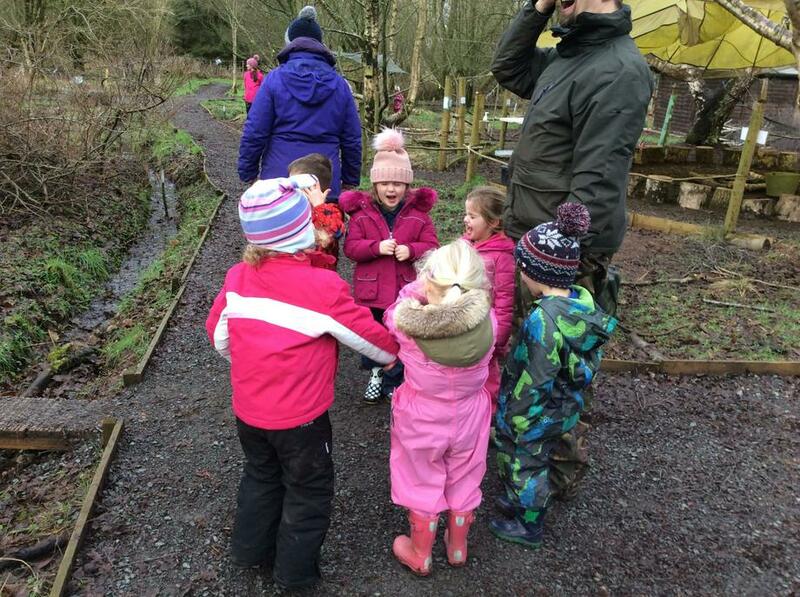 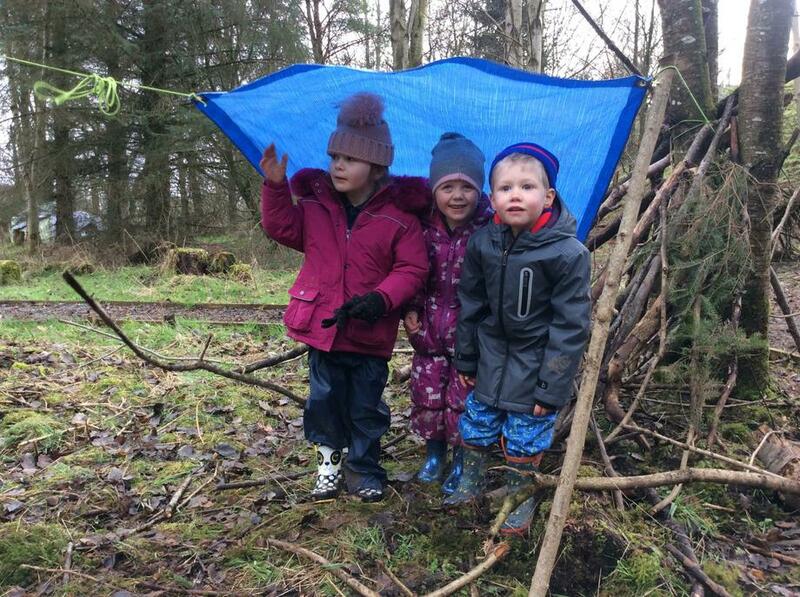 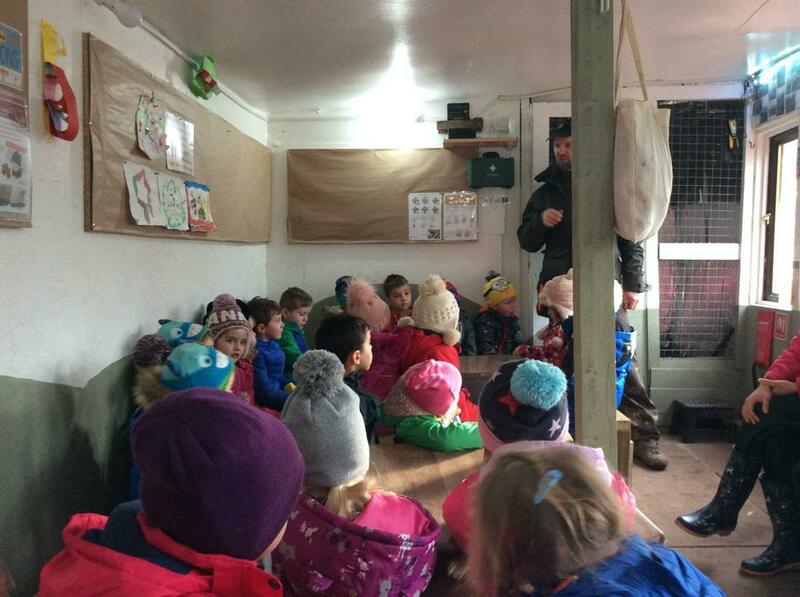 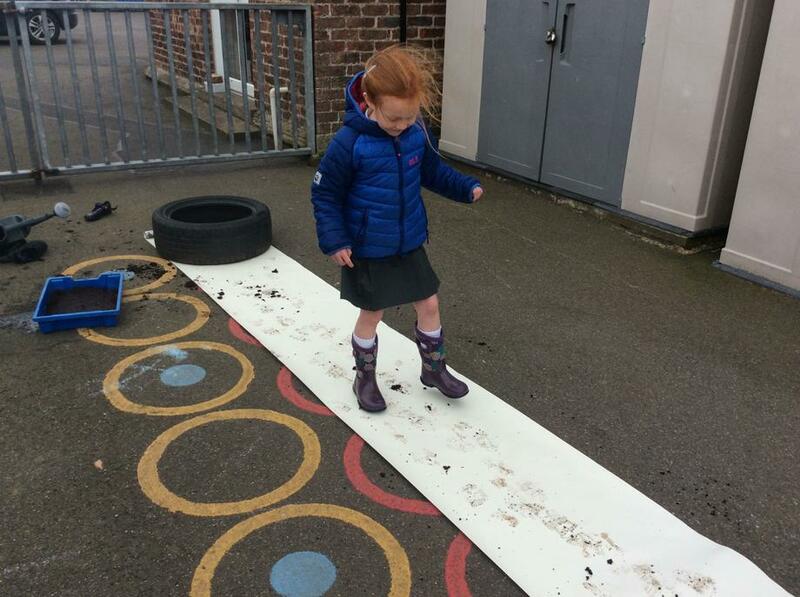 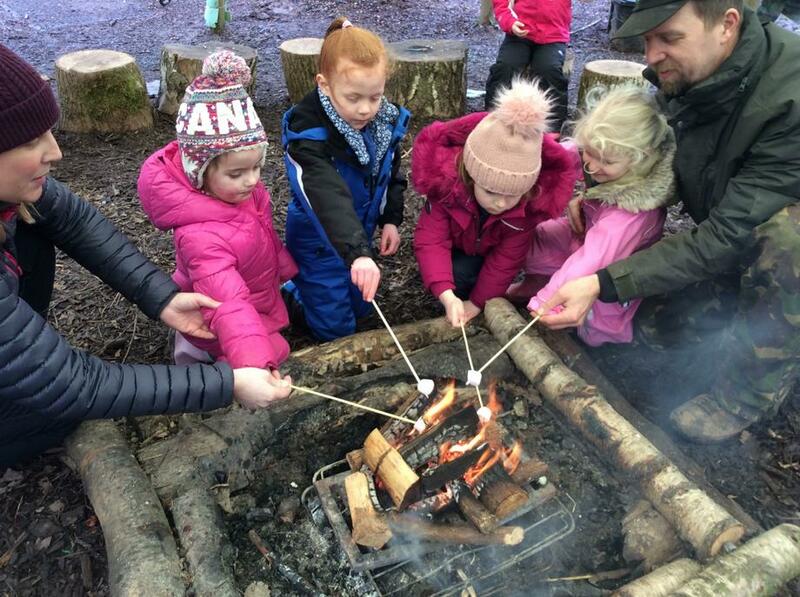 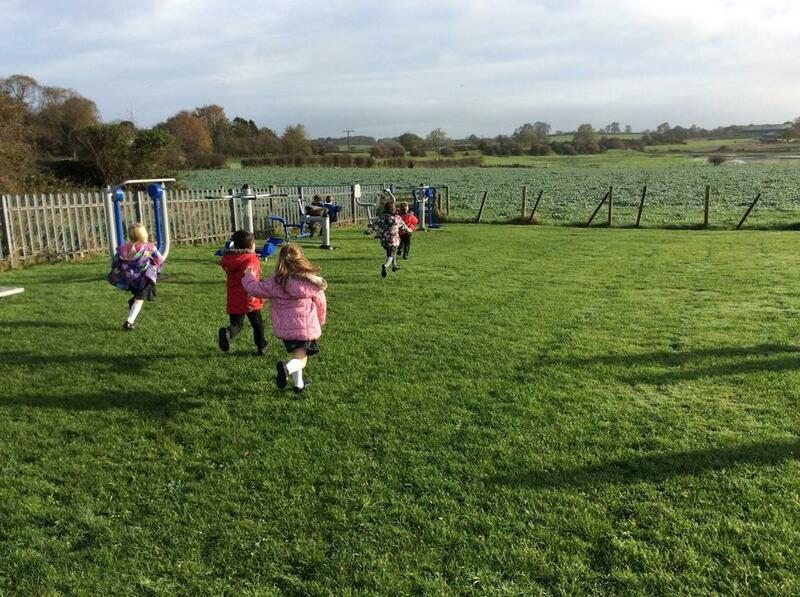 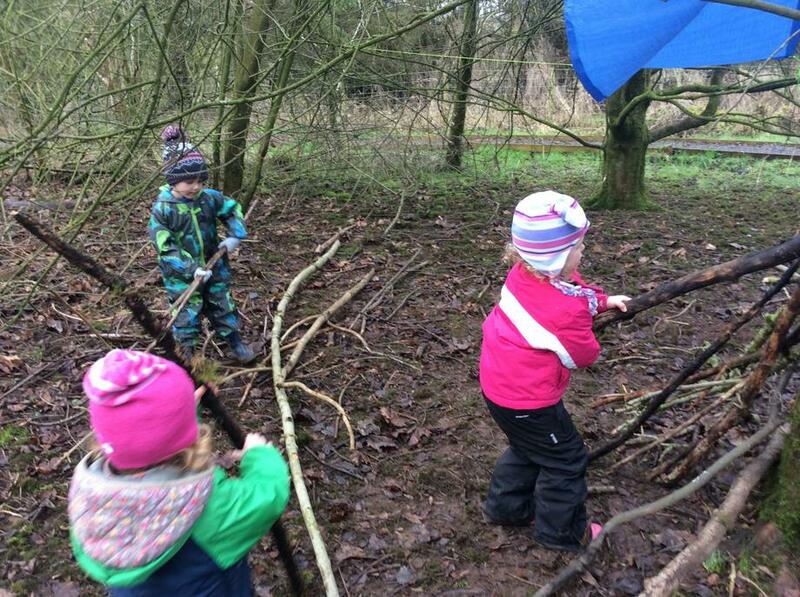 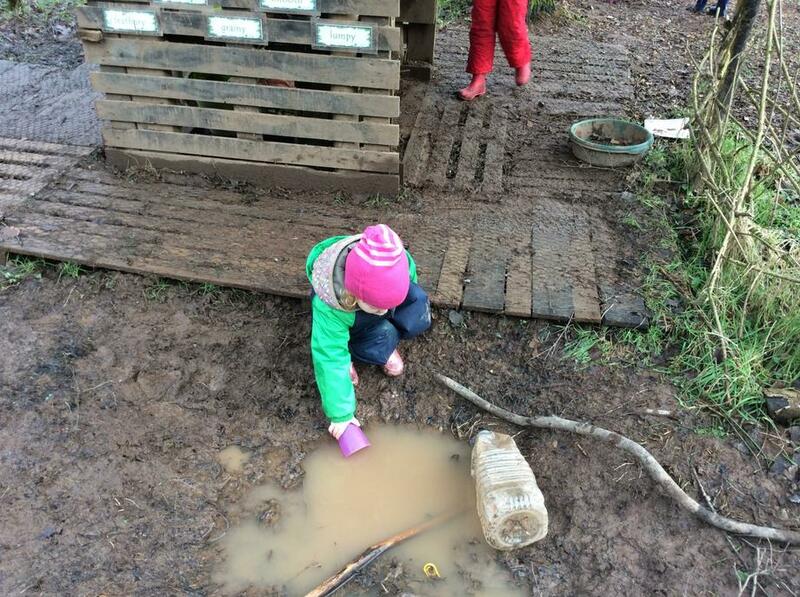 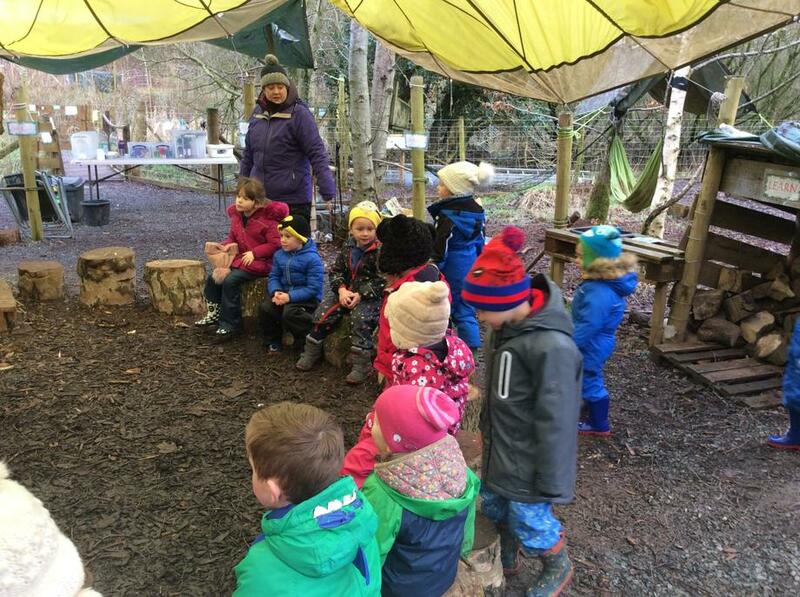 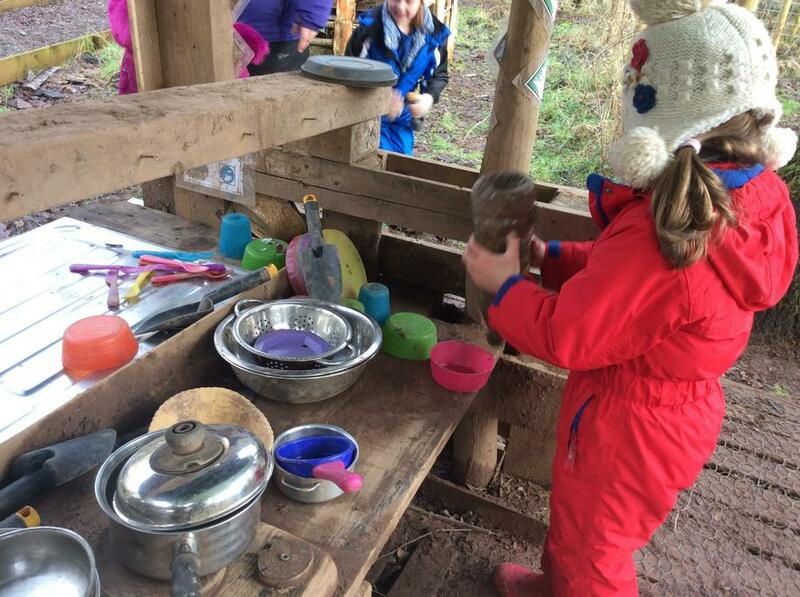 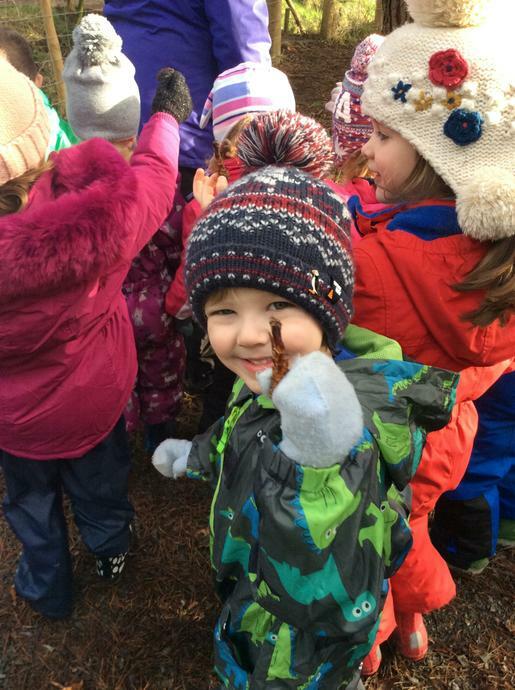 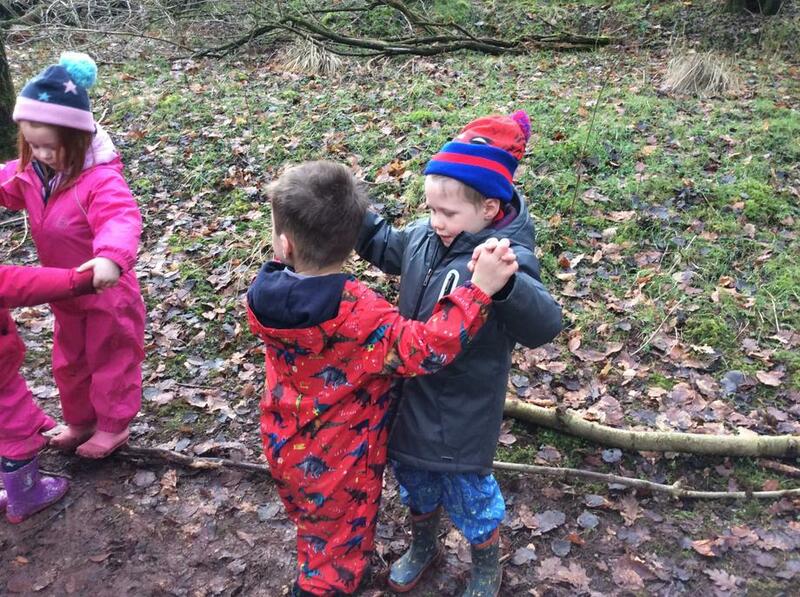 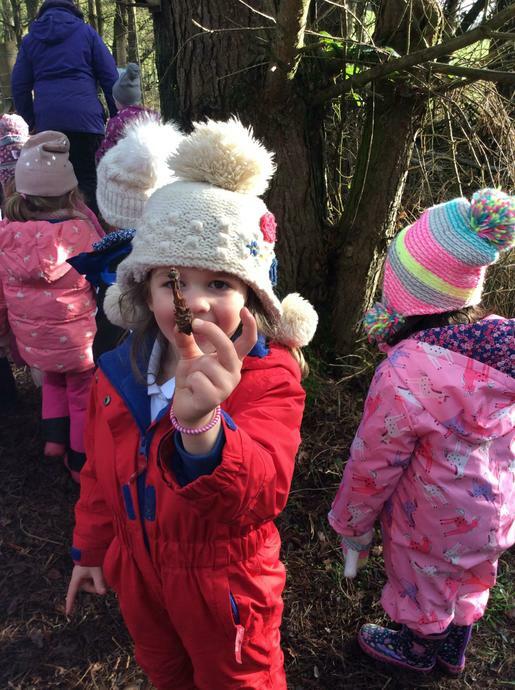 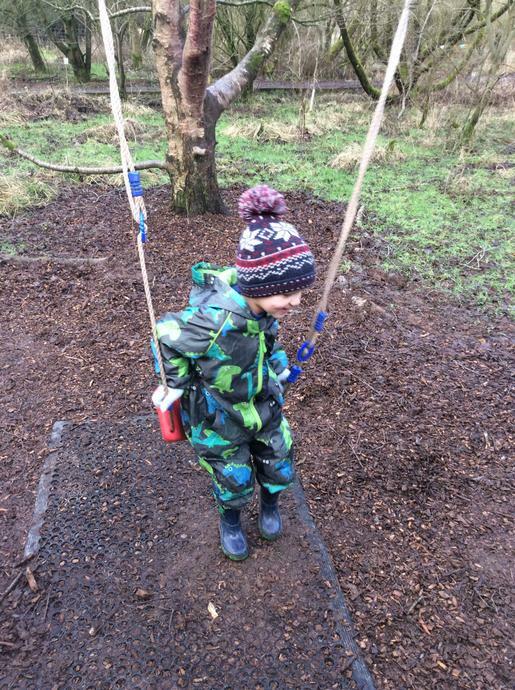 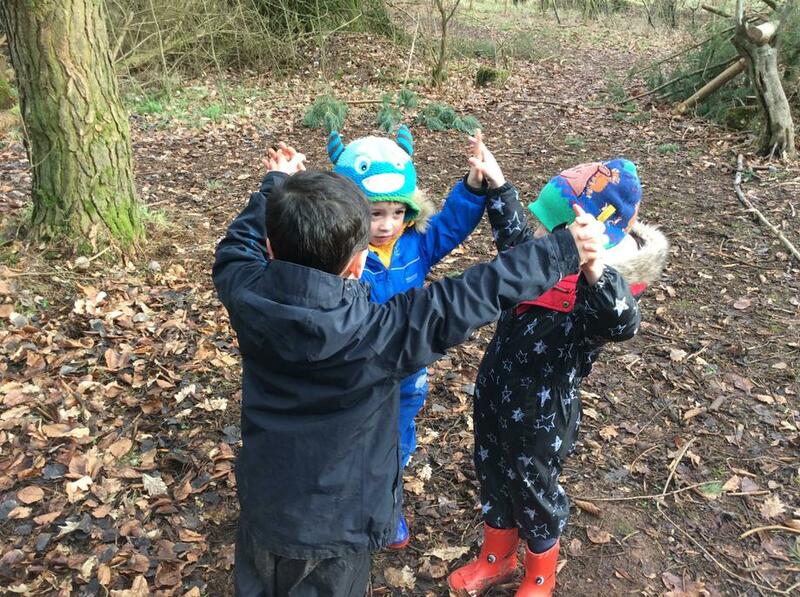 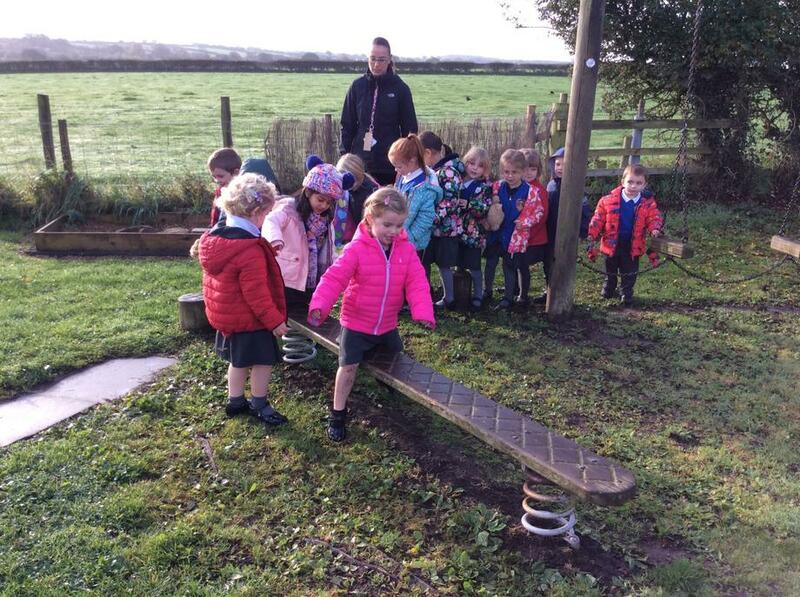 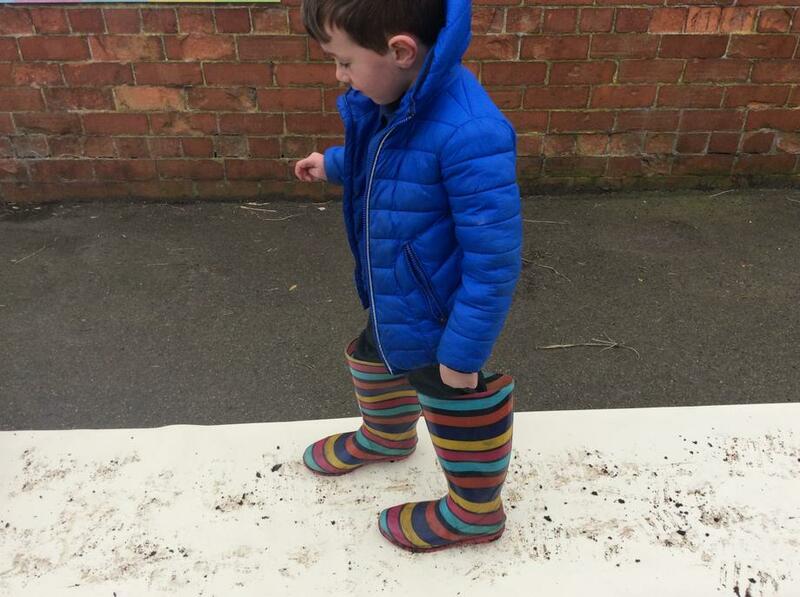 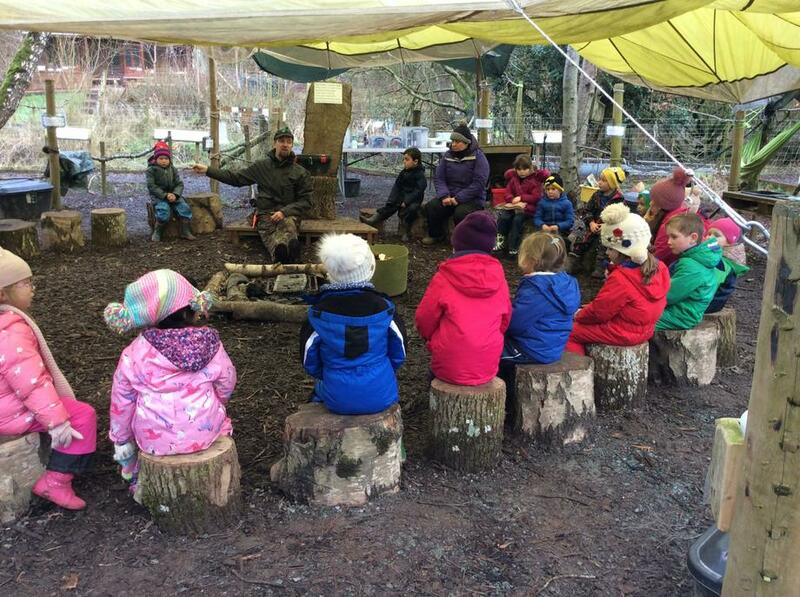 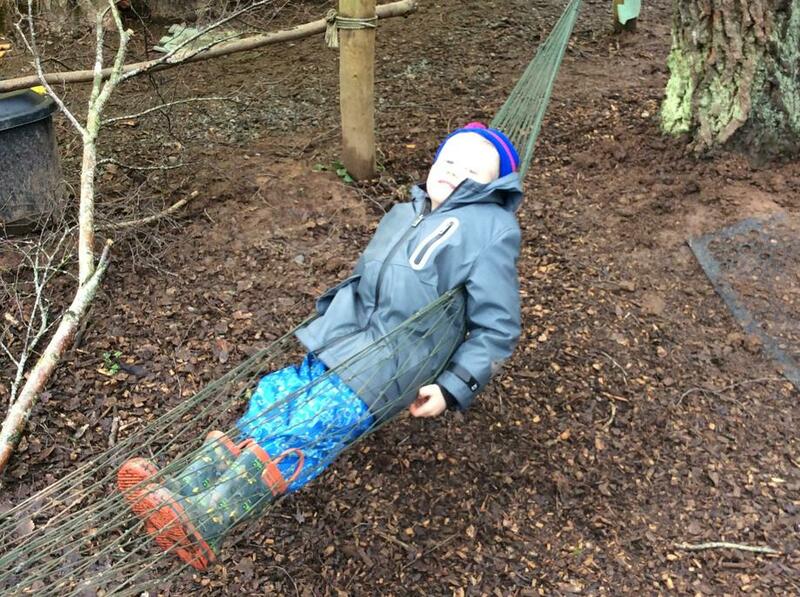 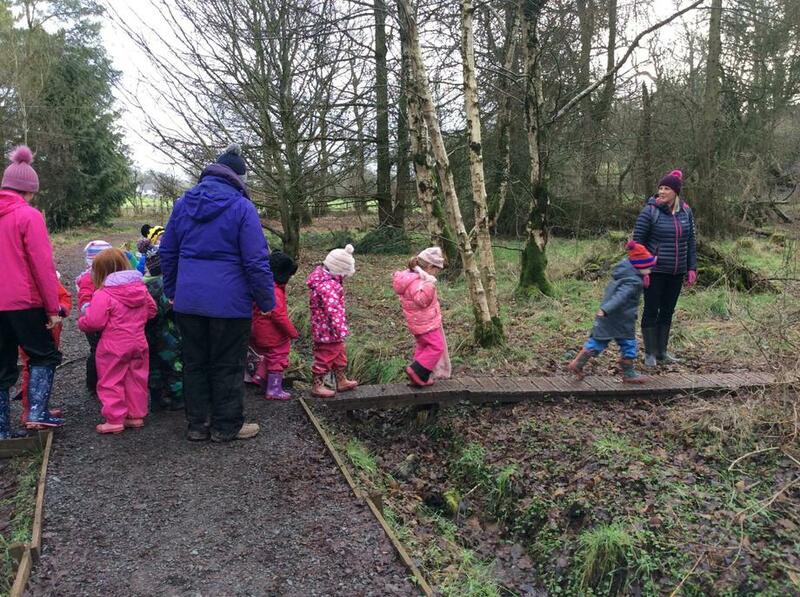 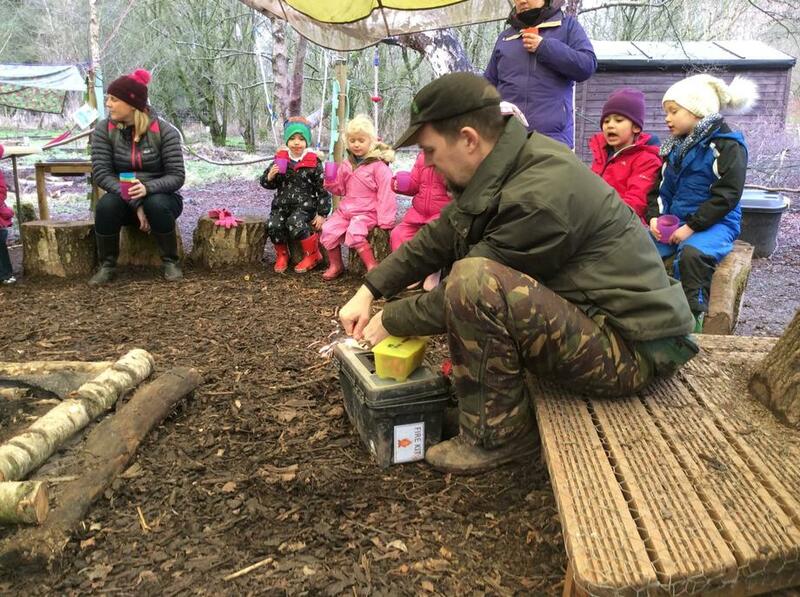 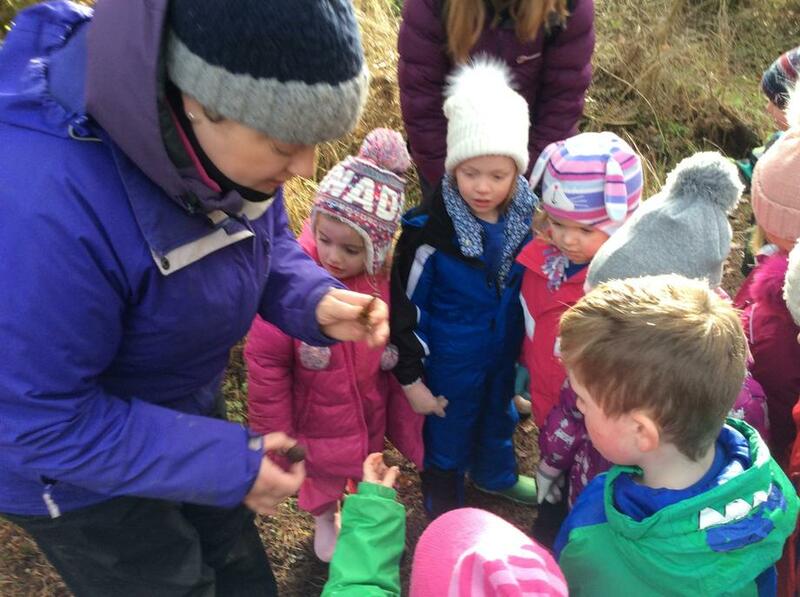 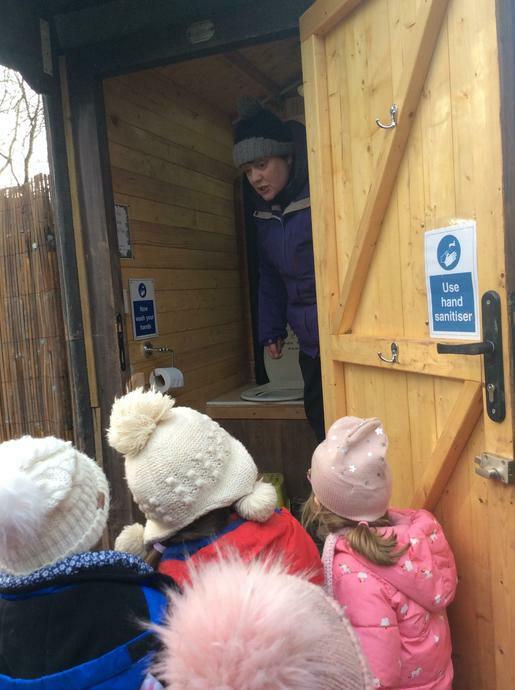 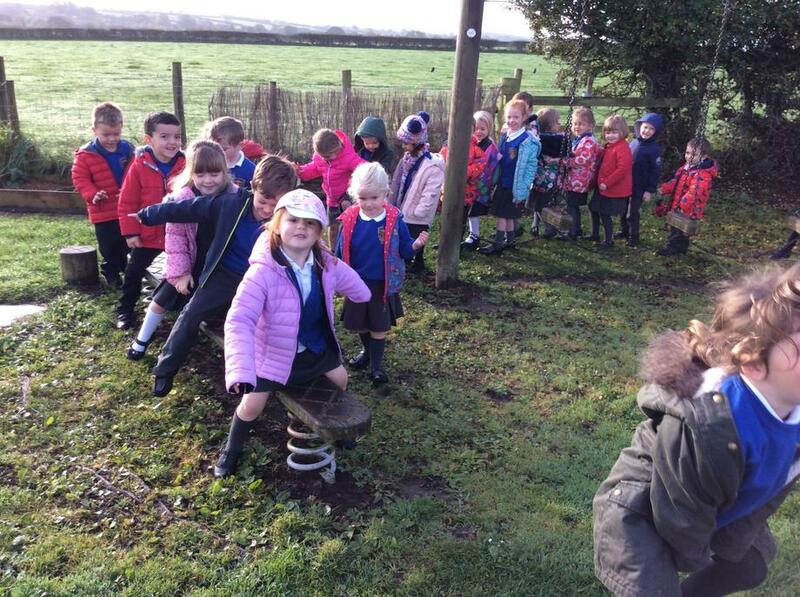 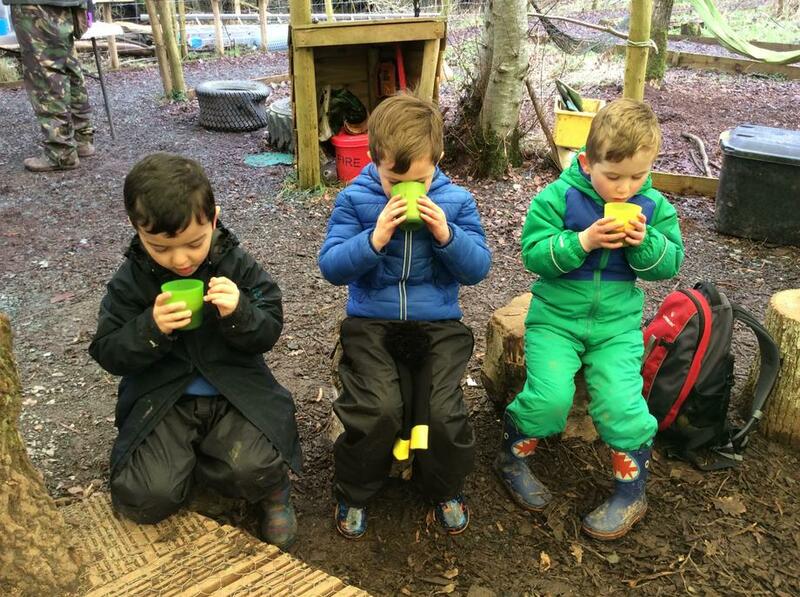 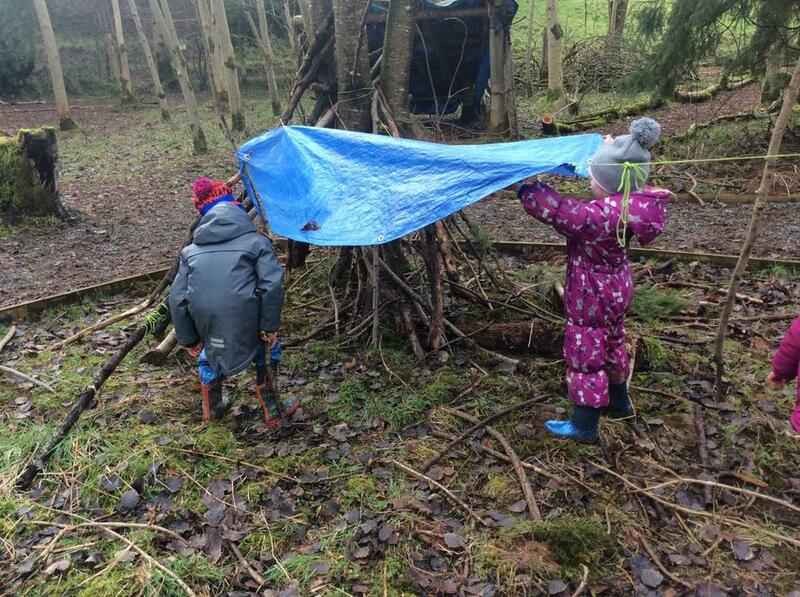 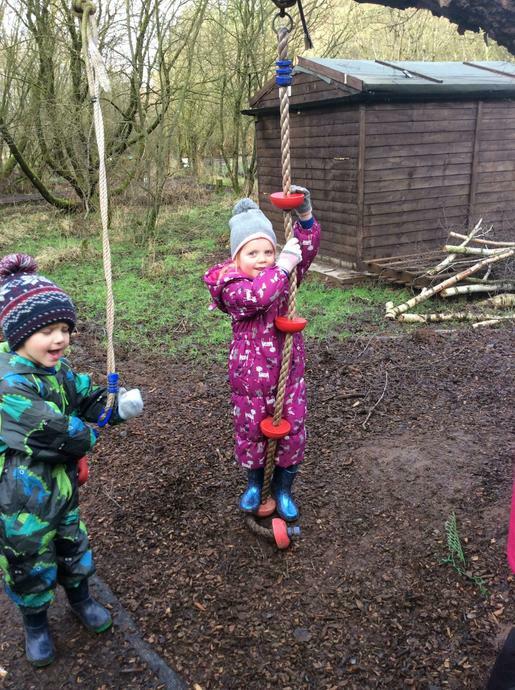 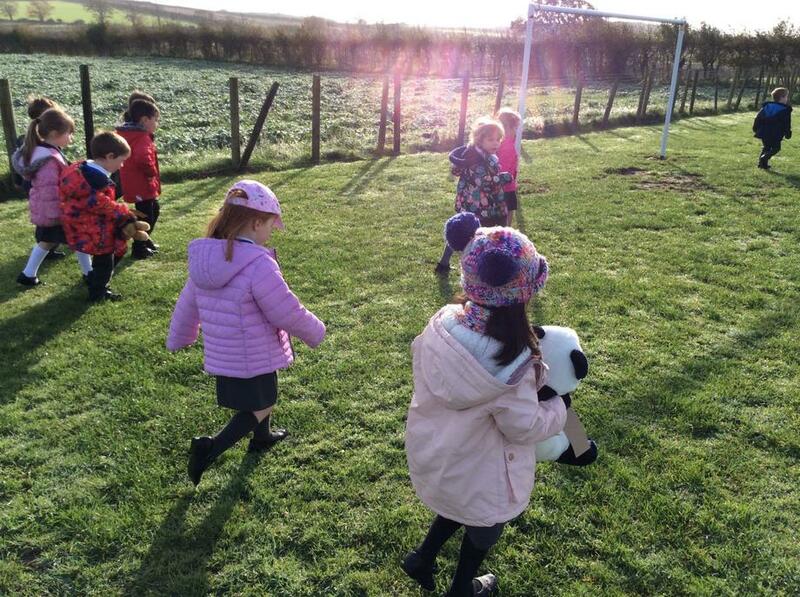 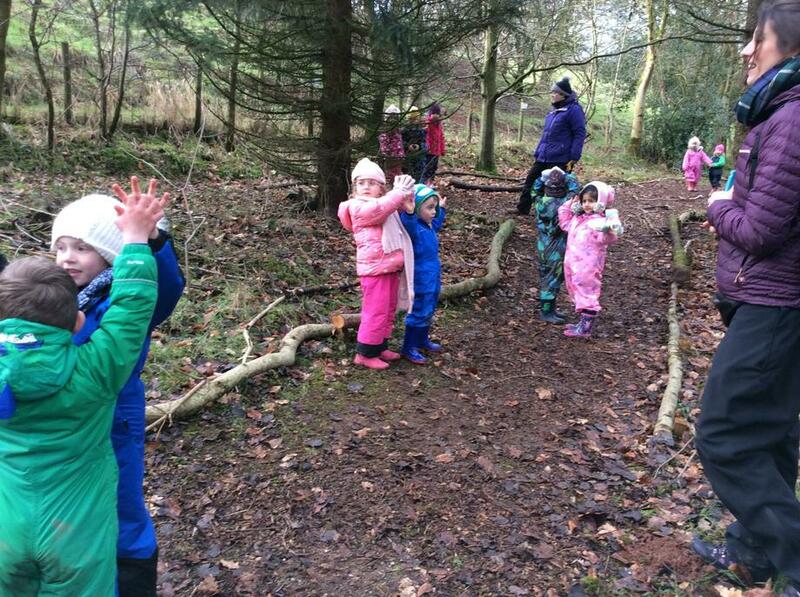 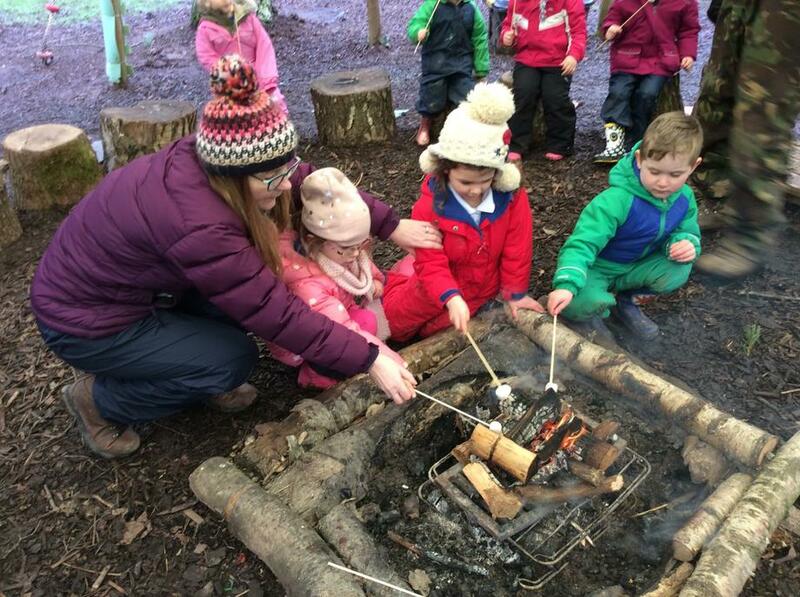 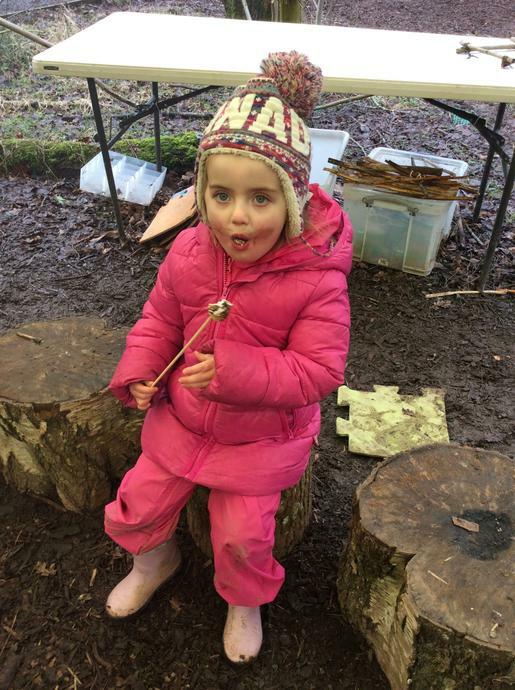 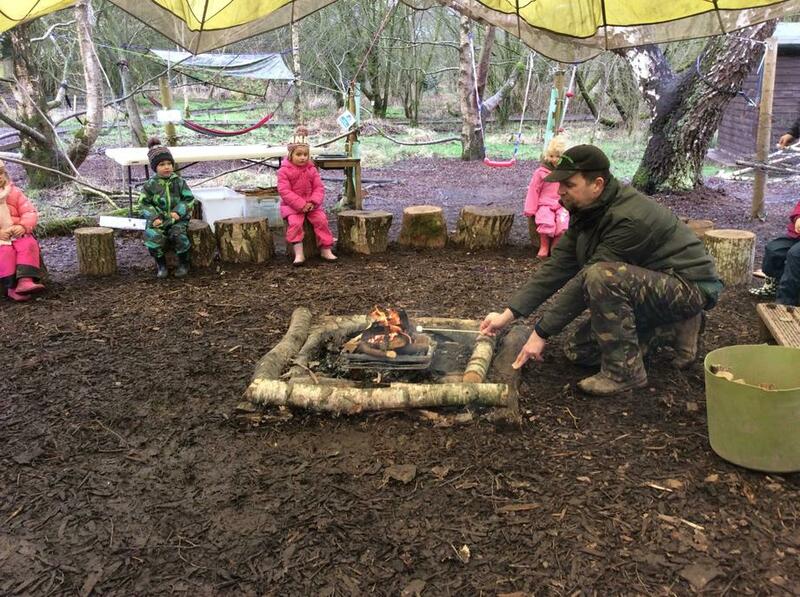 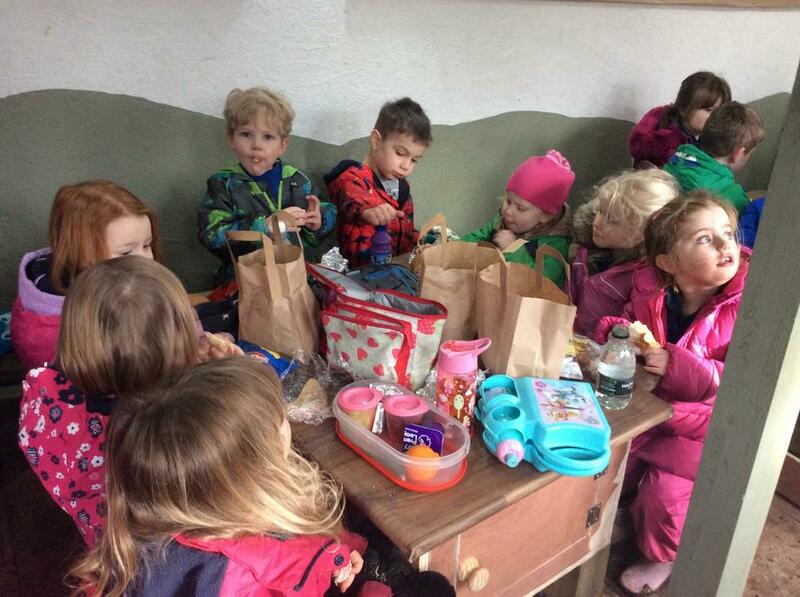 Our trip to Stocks Wood for our topic on Winter. 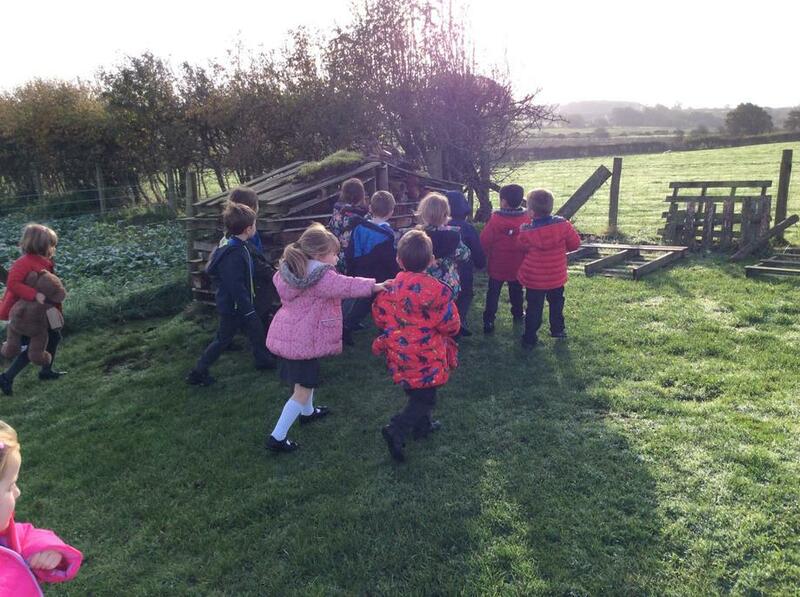 We all had an amazing time with lots of fabulous learning experiences. 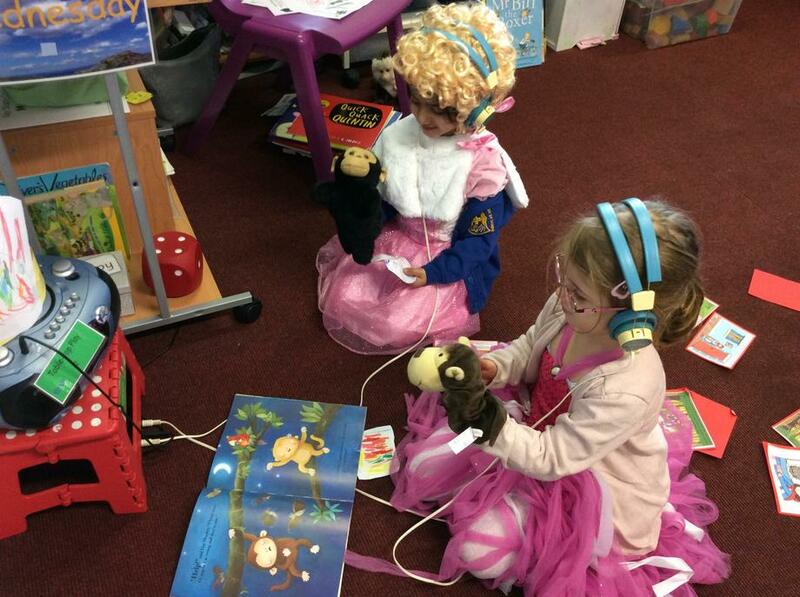 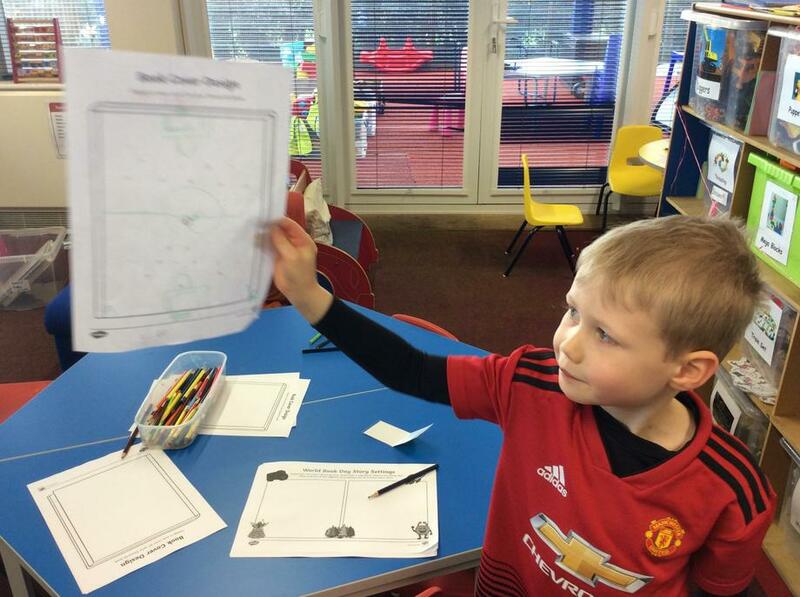 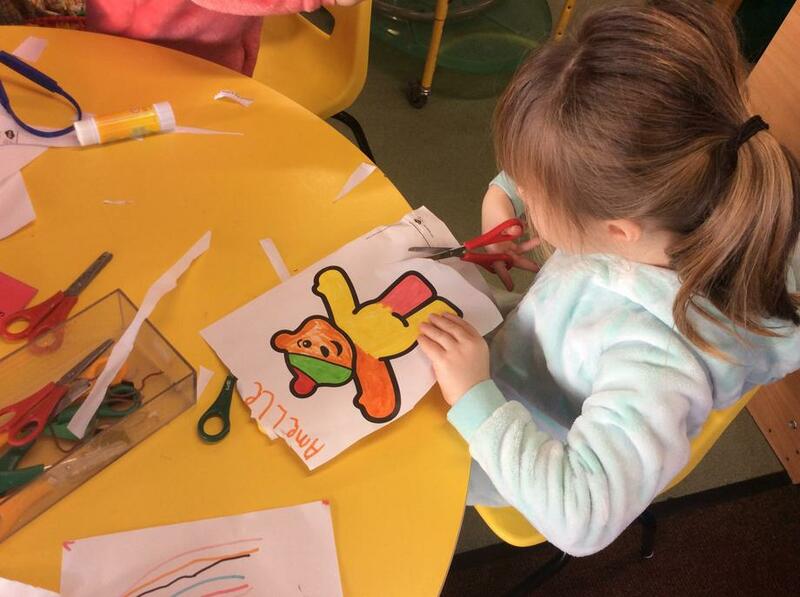 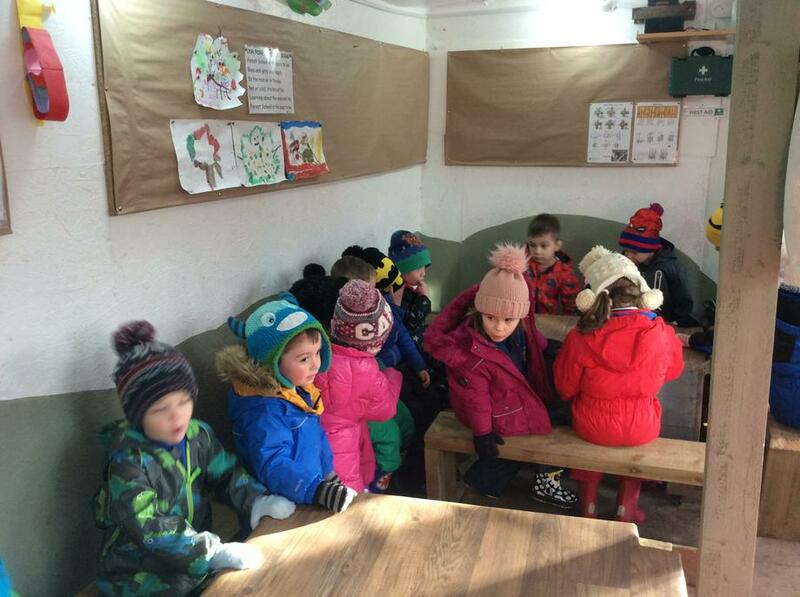 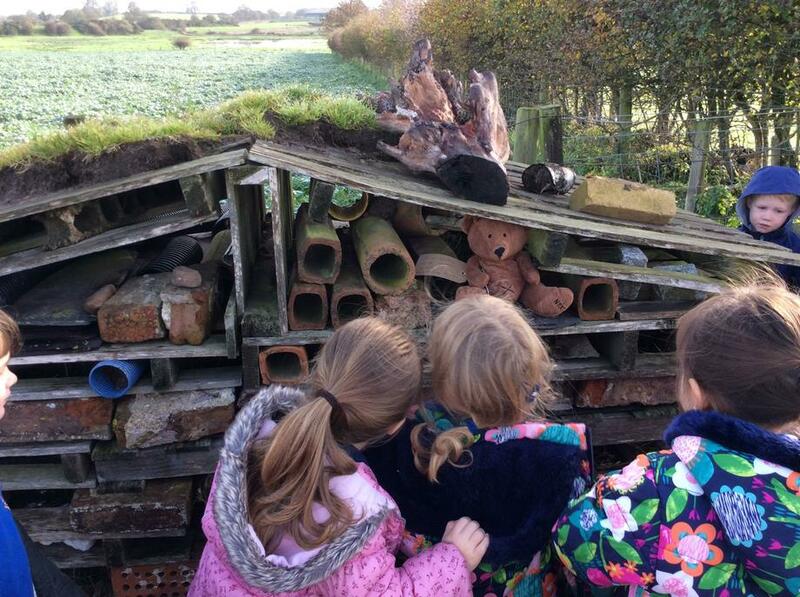 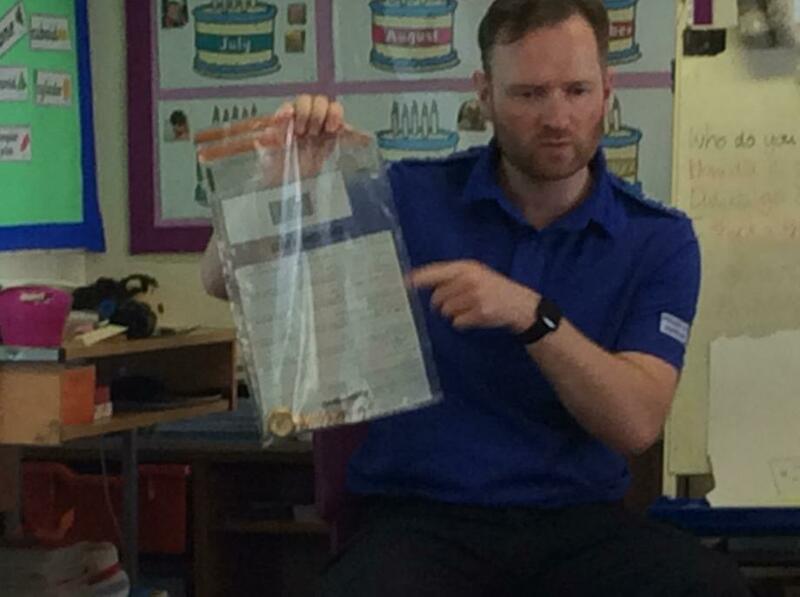 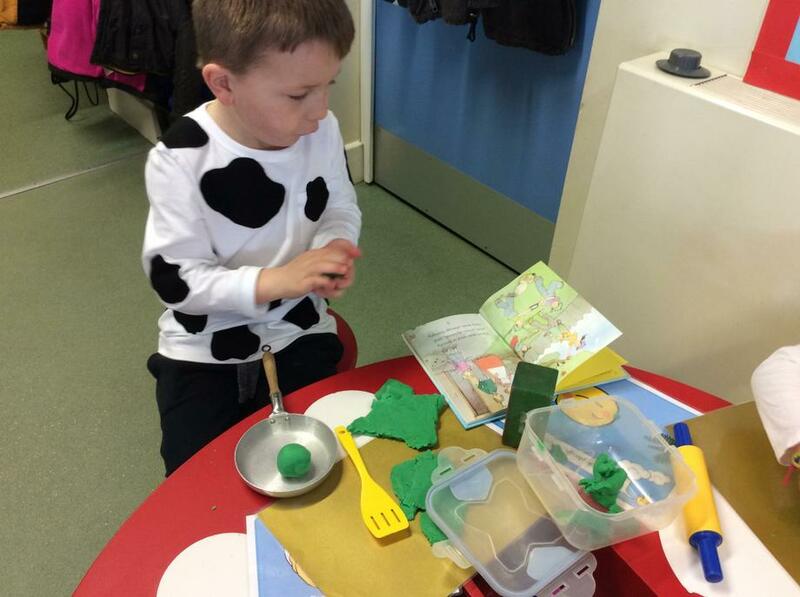 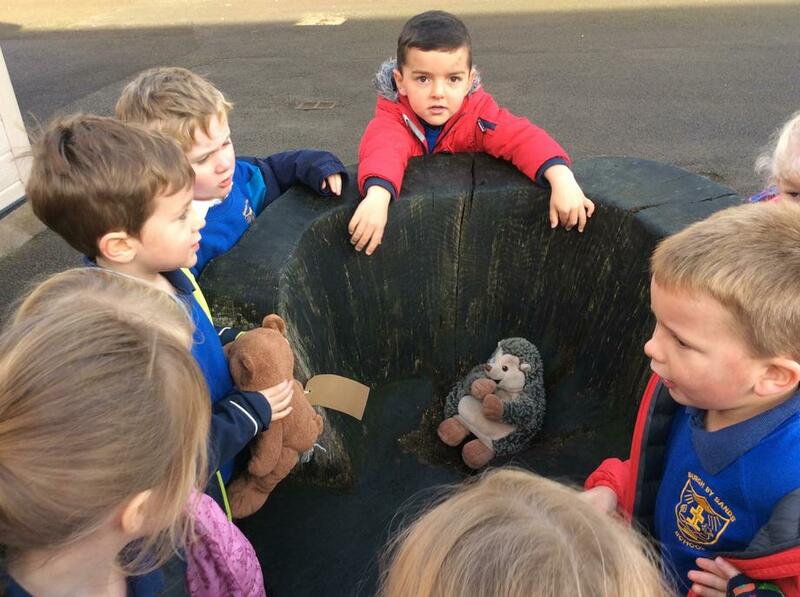 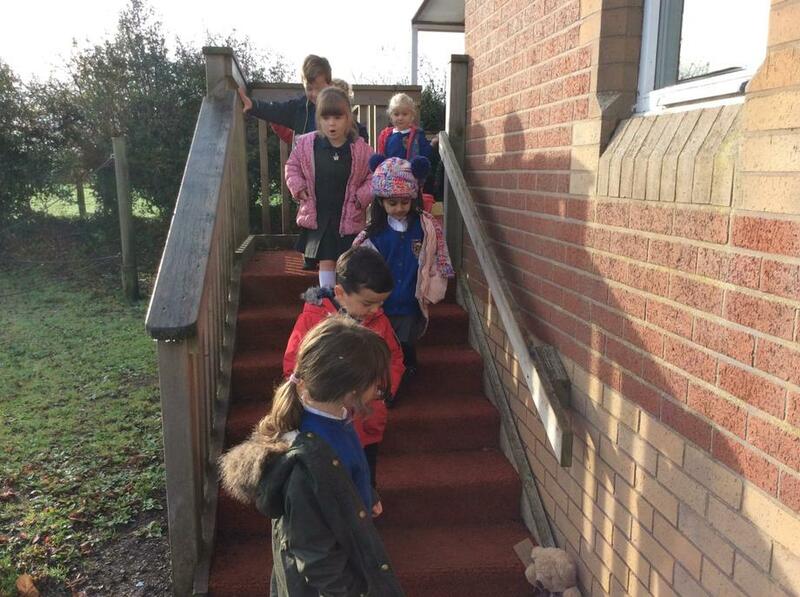 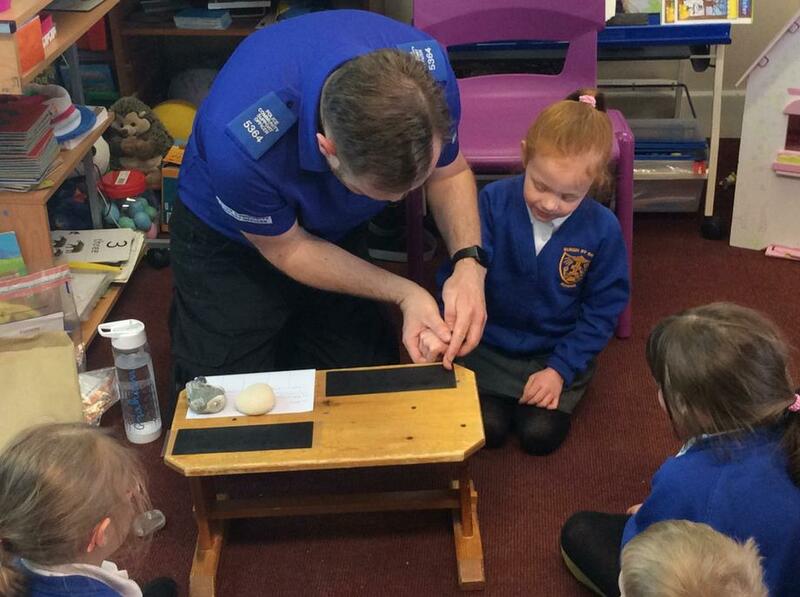 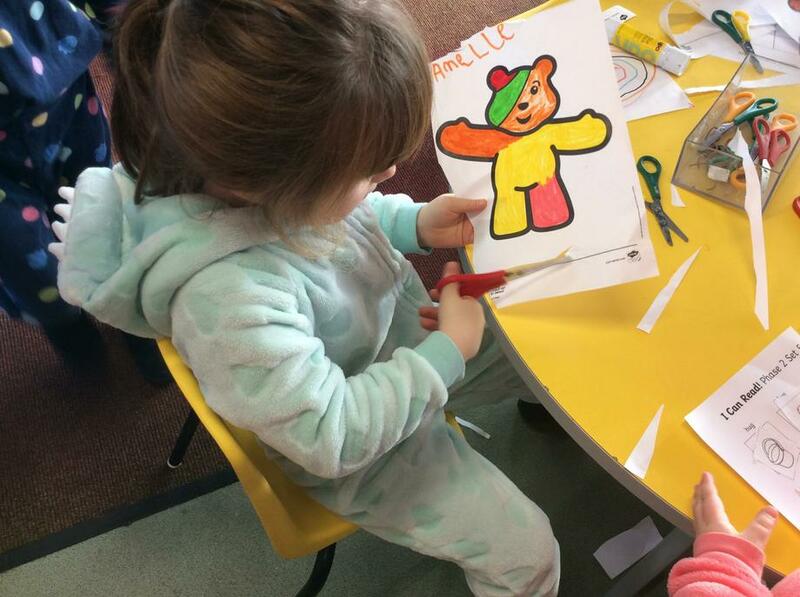 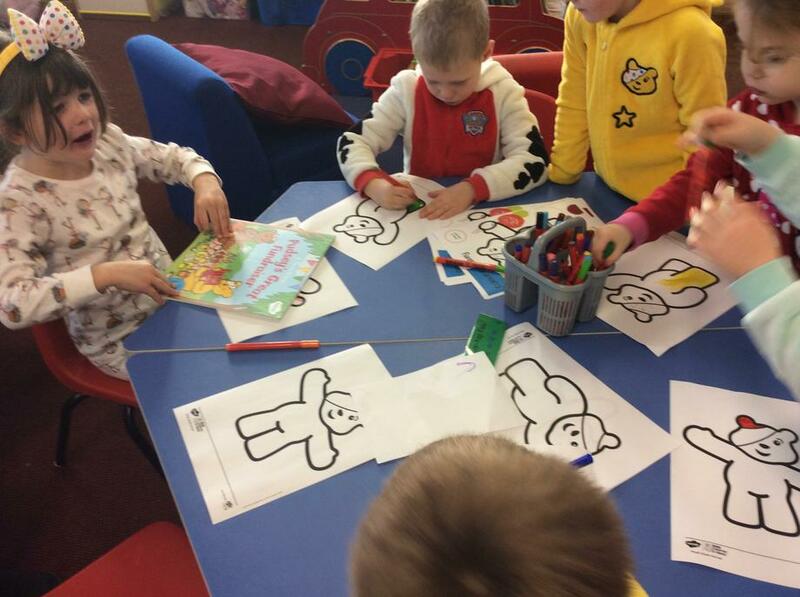 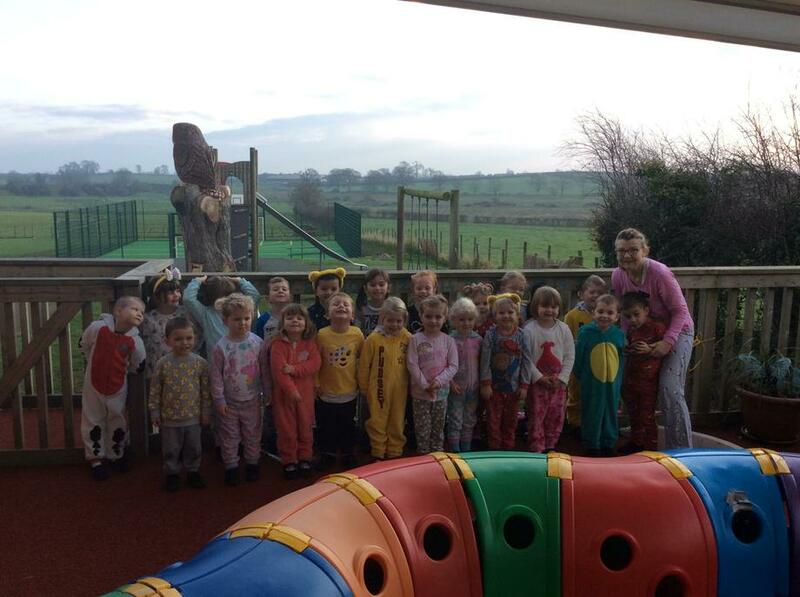 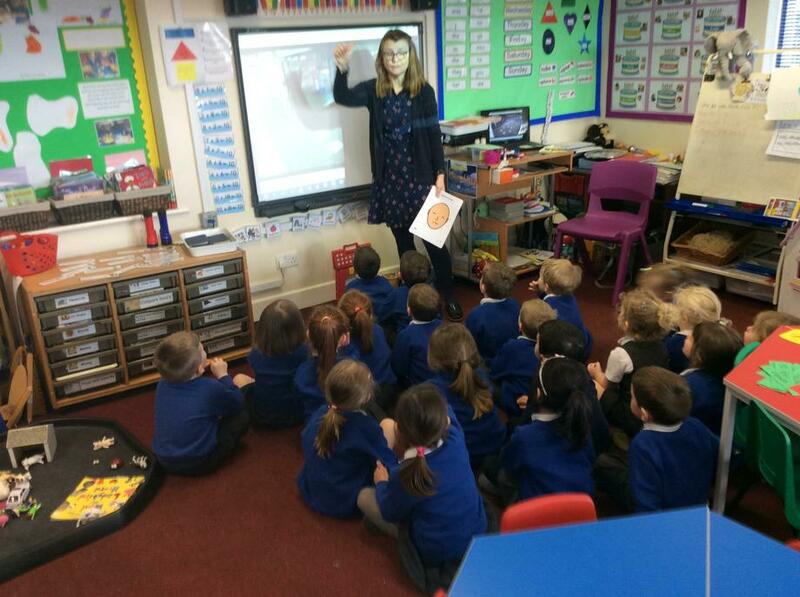 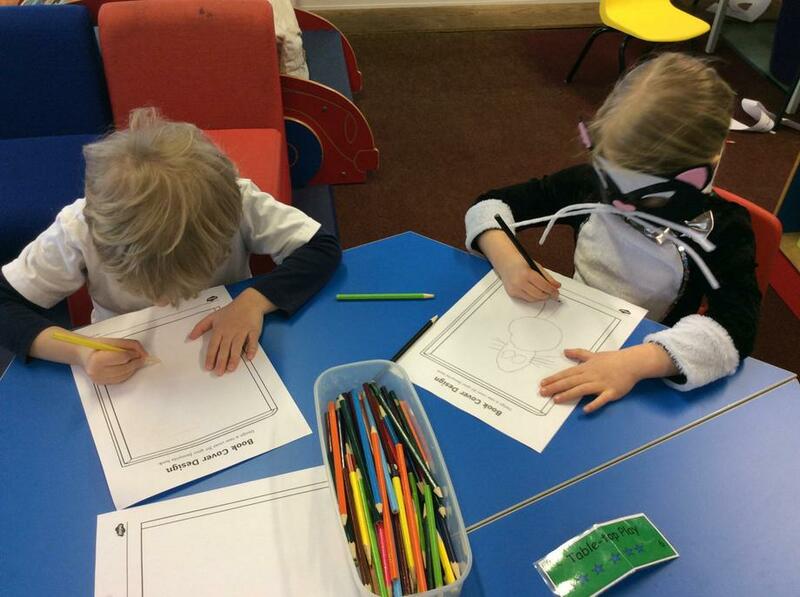 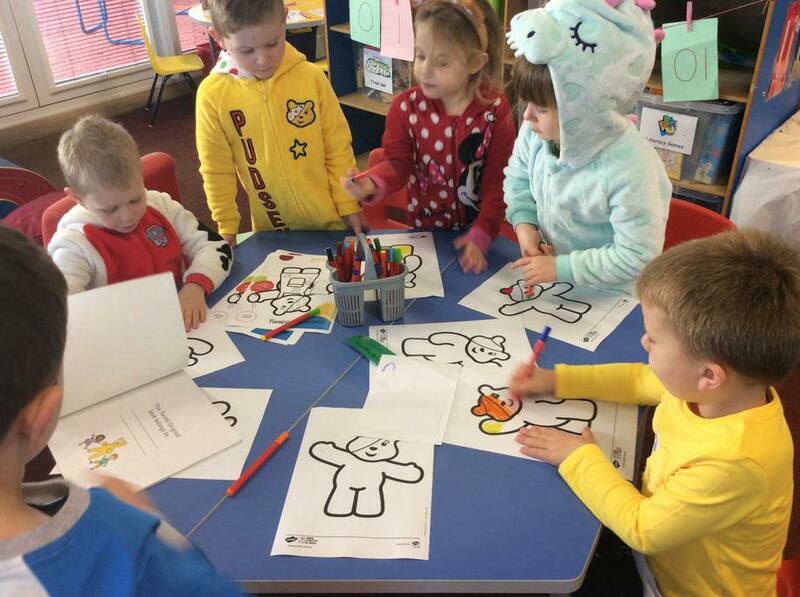 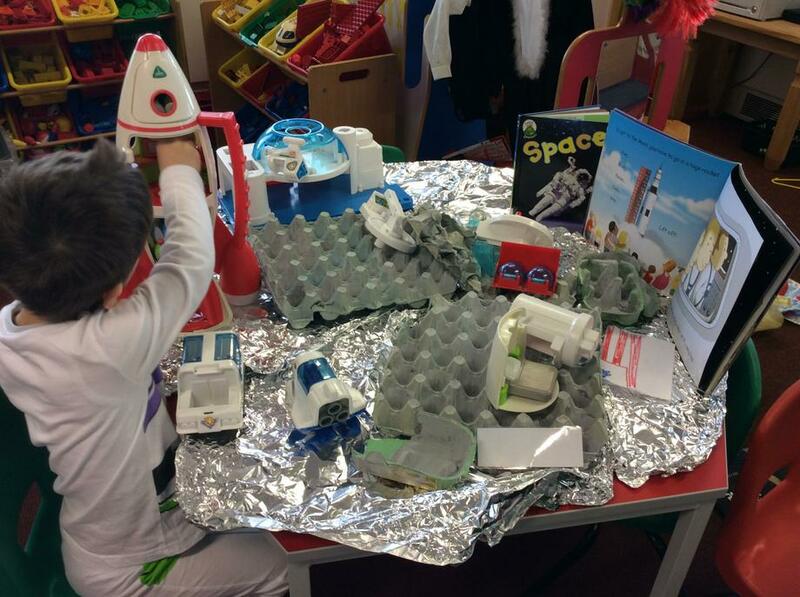 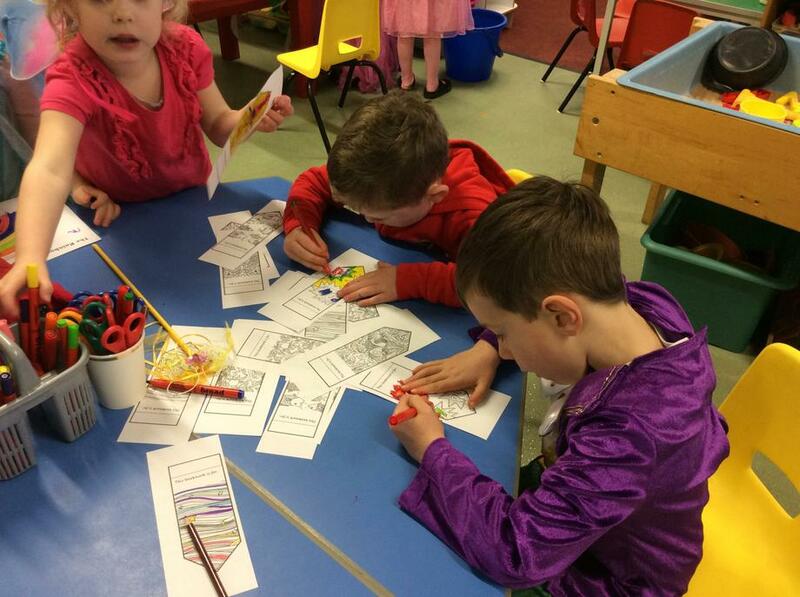 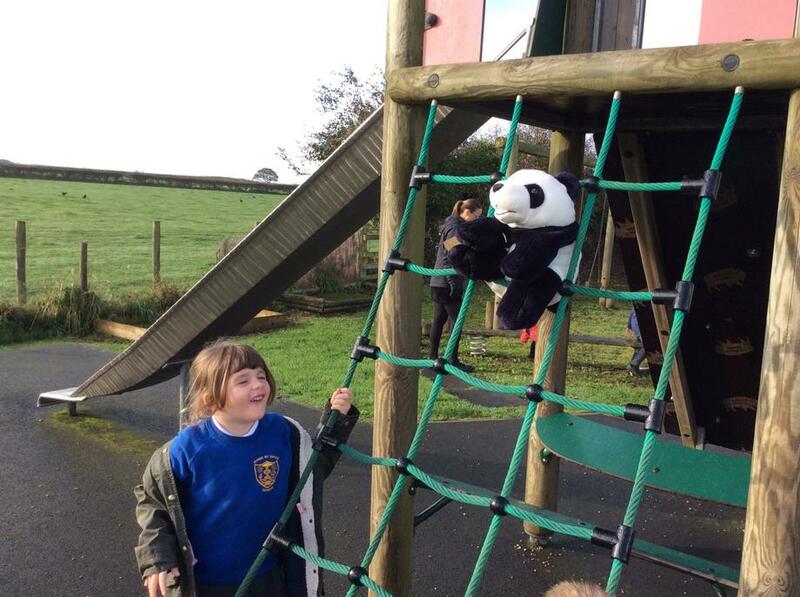 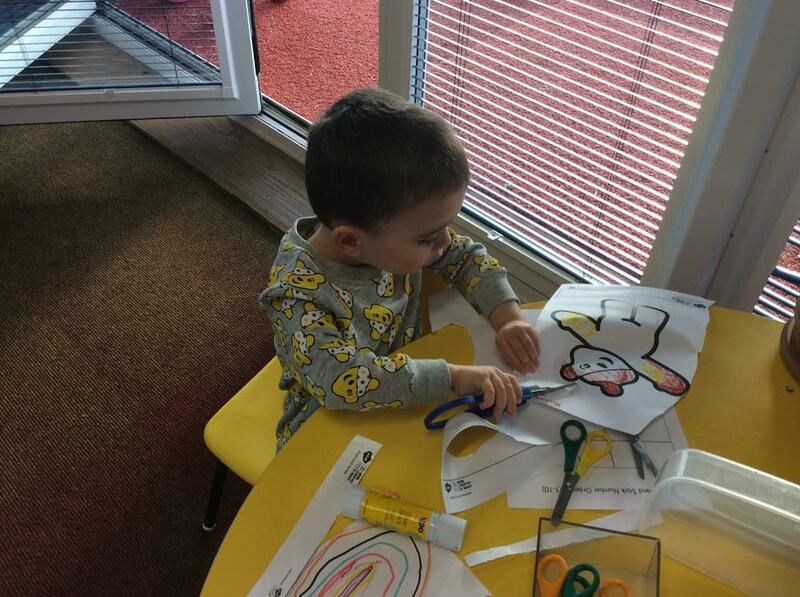 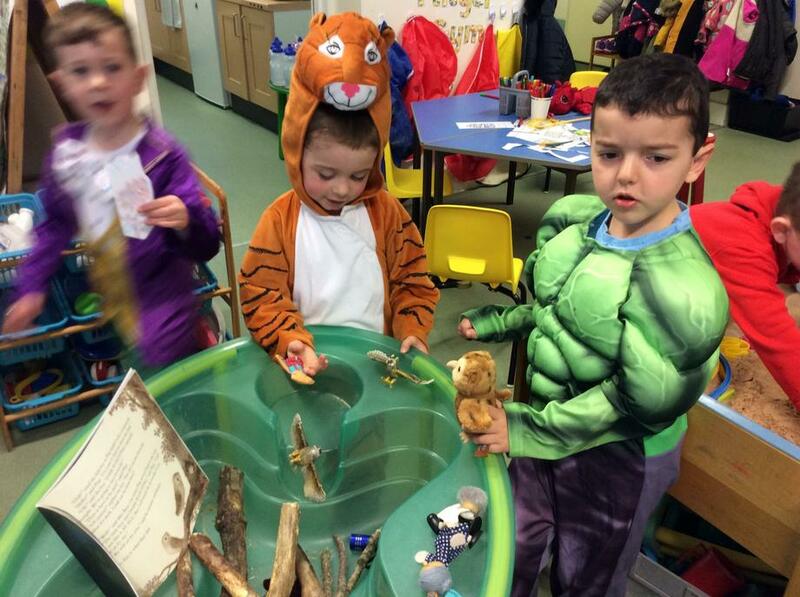 The children enjoyed many learning experiences related to our topic ‘Bears’. 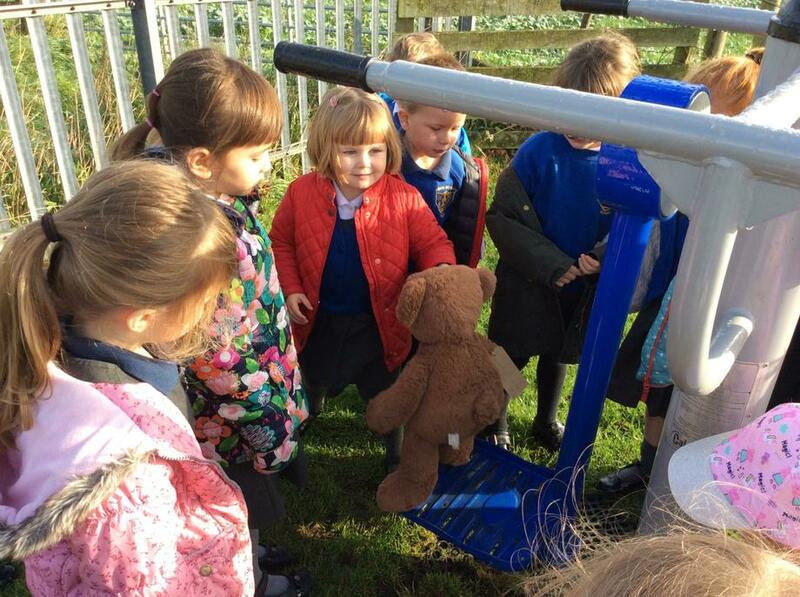 This was finished with a bear hunt, where clues were used to find our class bears. 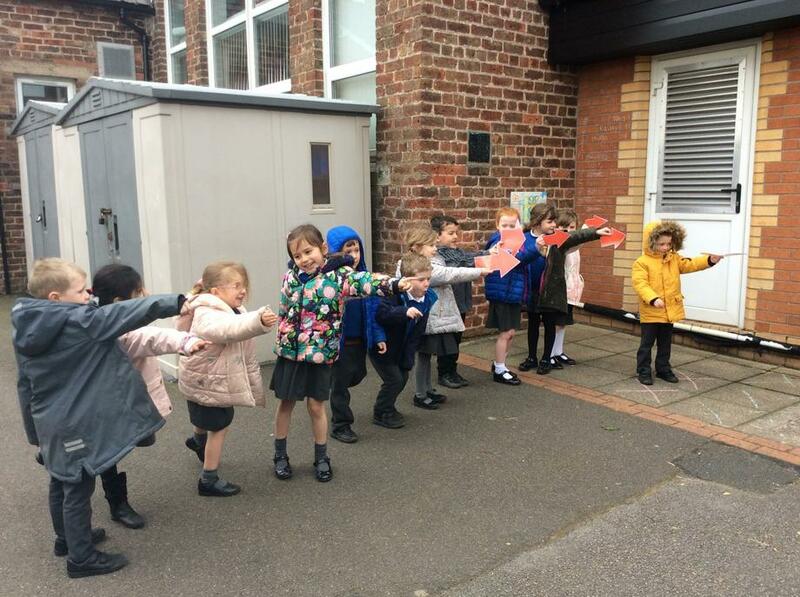 On the way we used onomatopoeia to describe movement through settings. 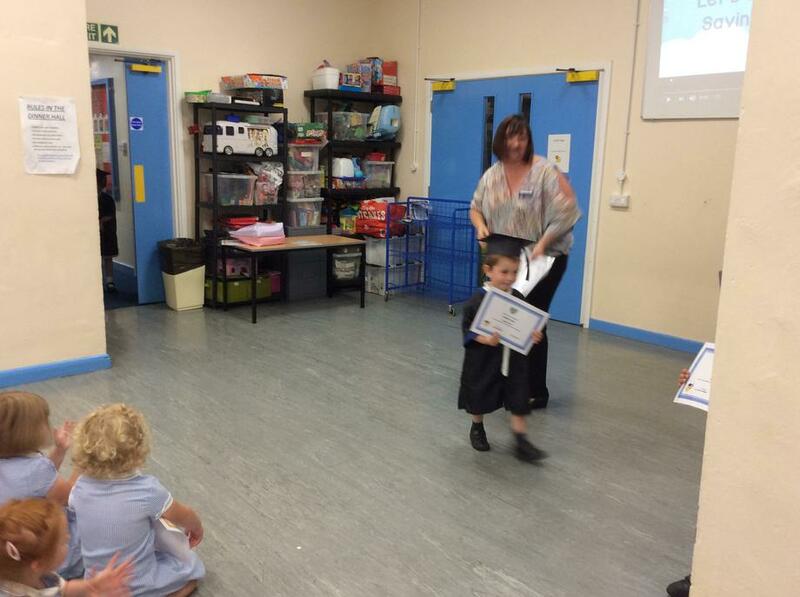 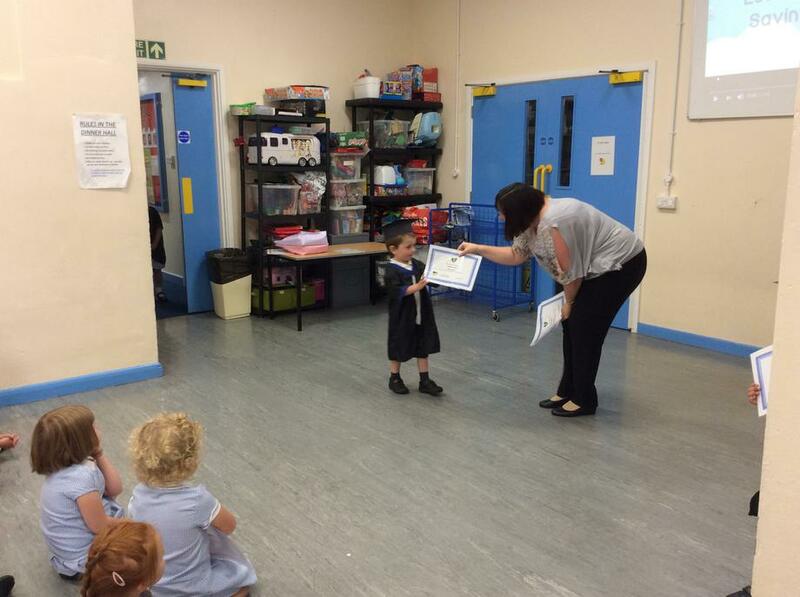 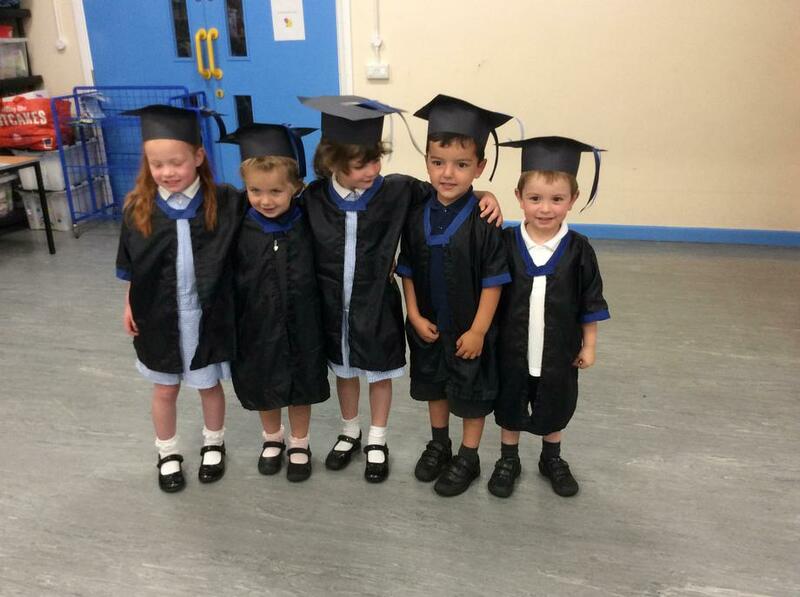 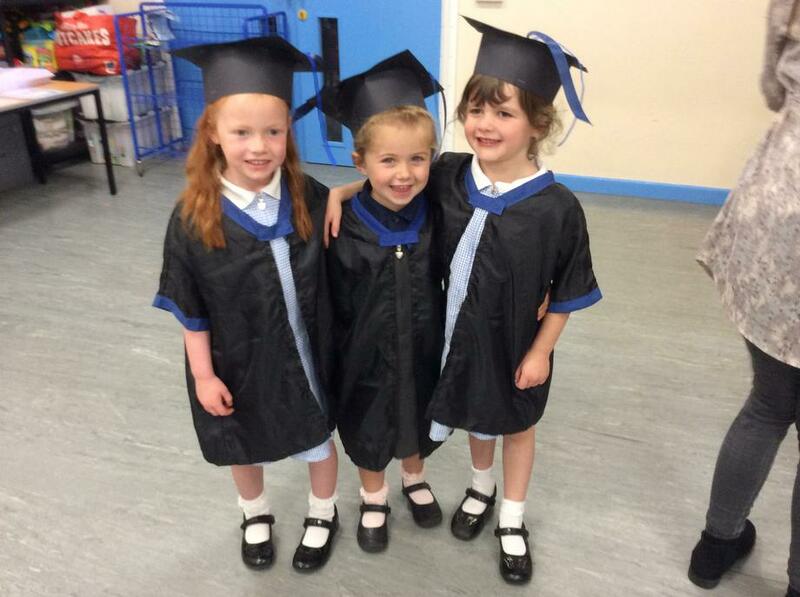 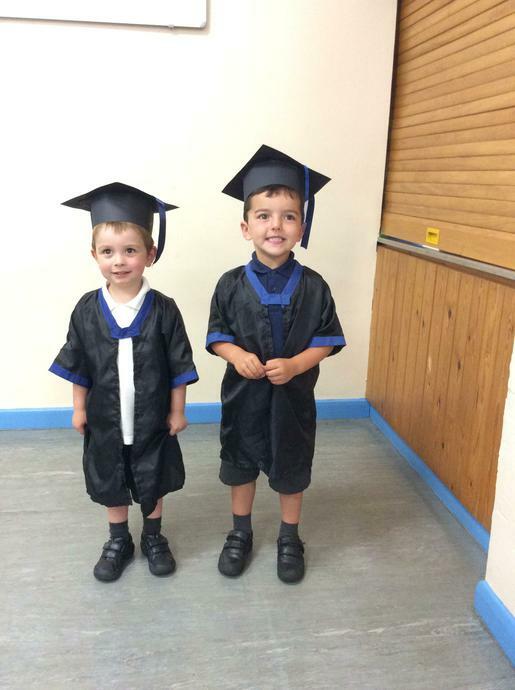 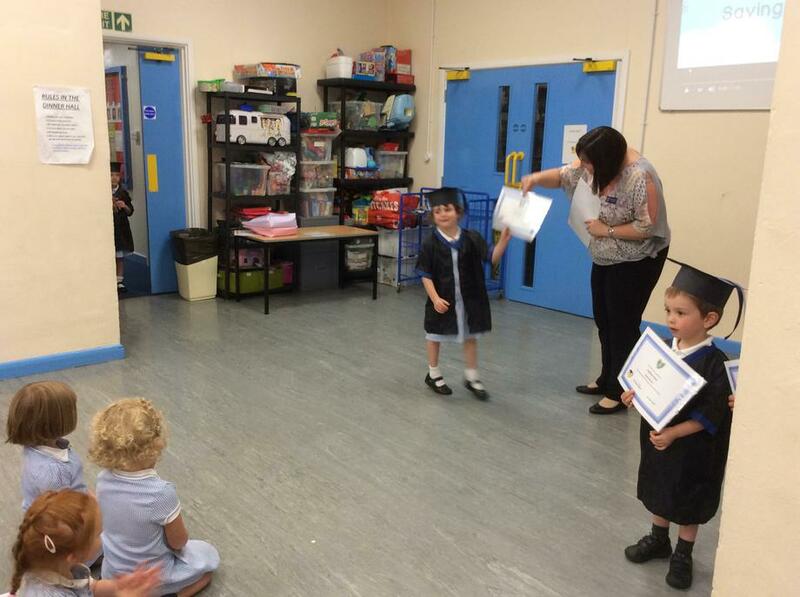 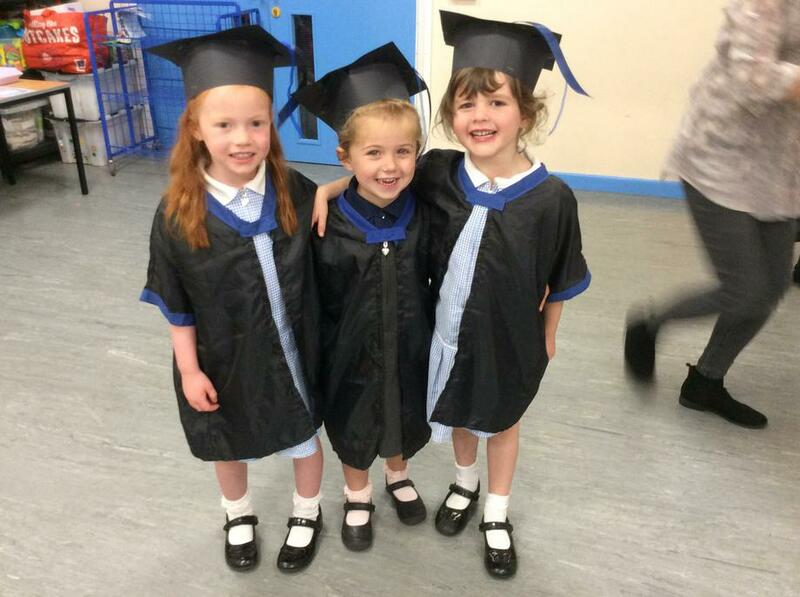 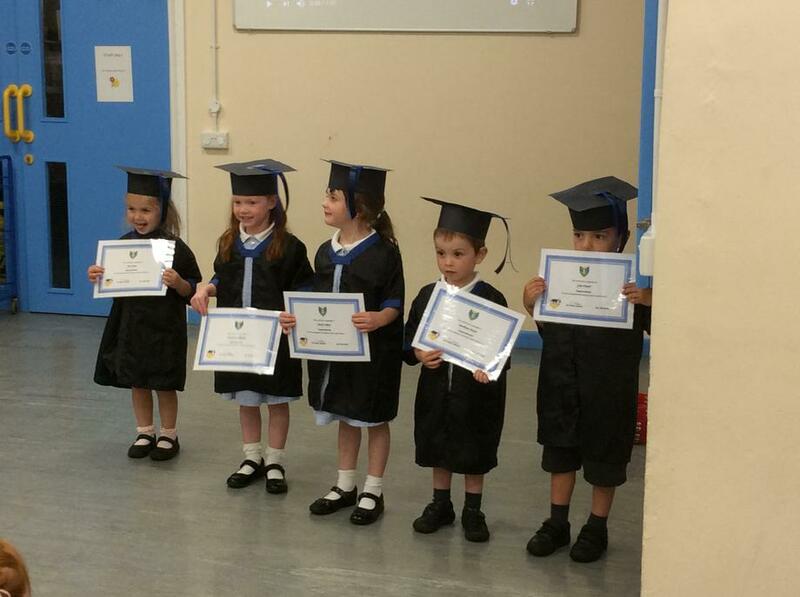 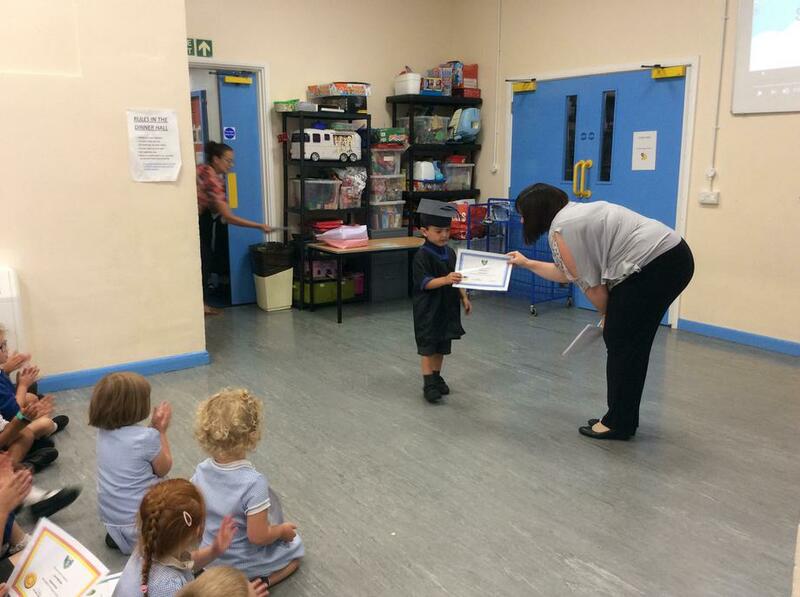 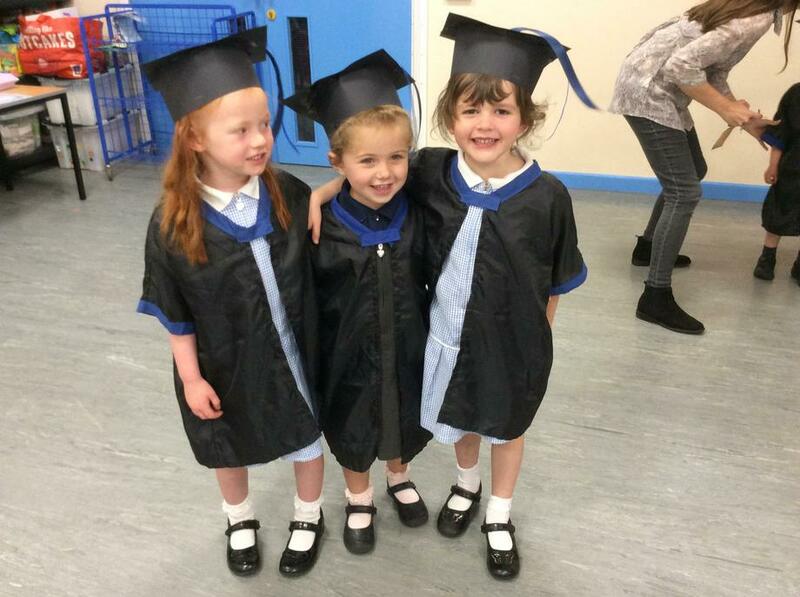 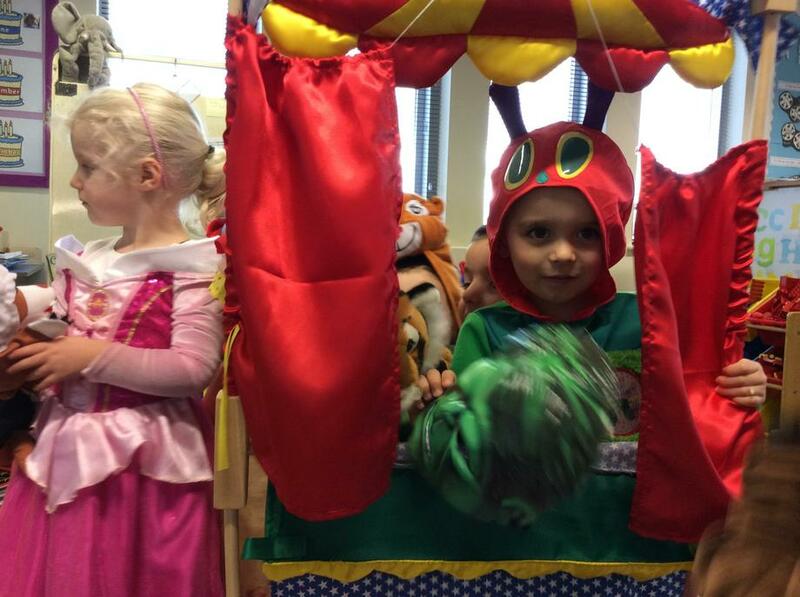 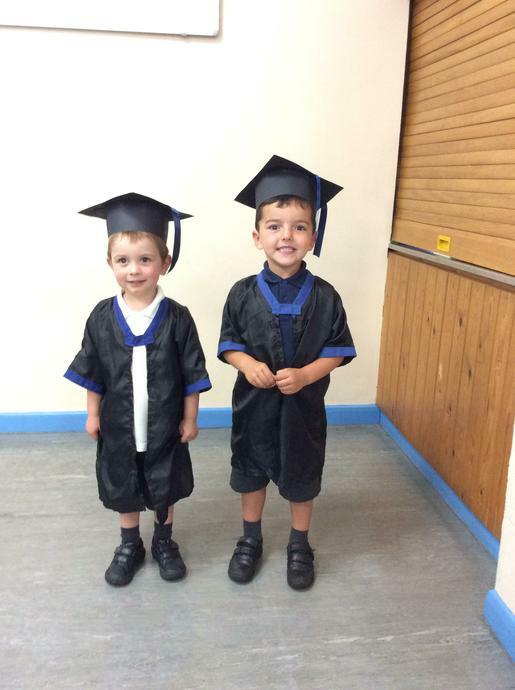 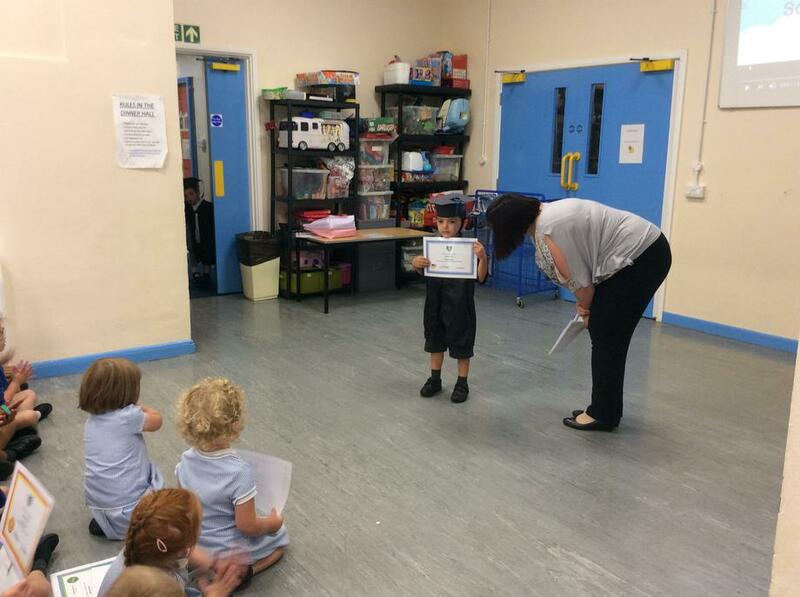 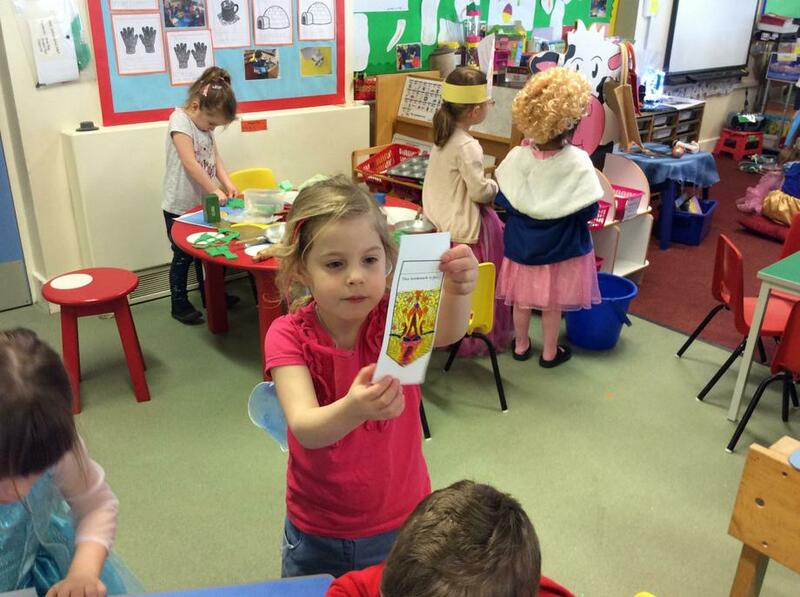 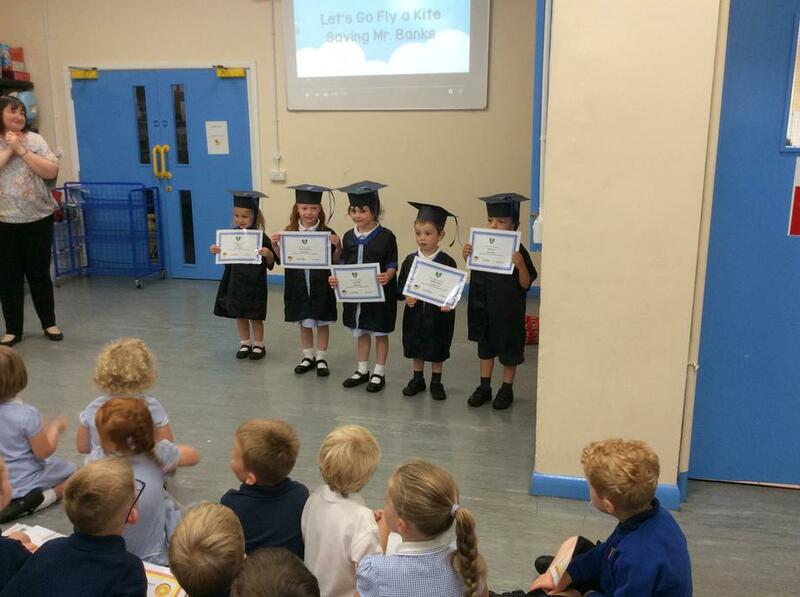 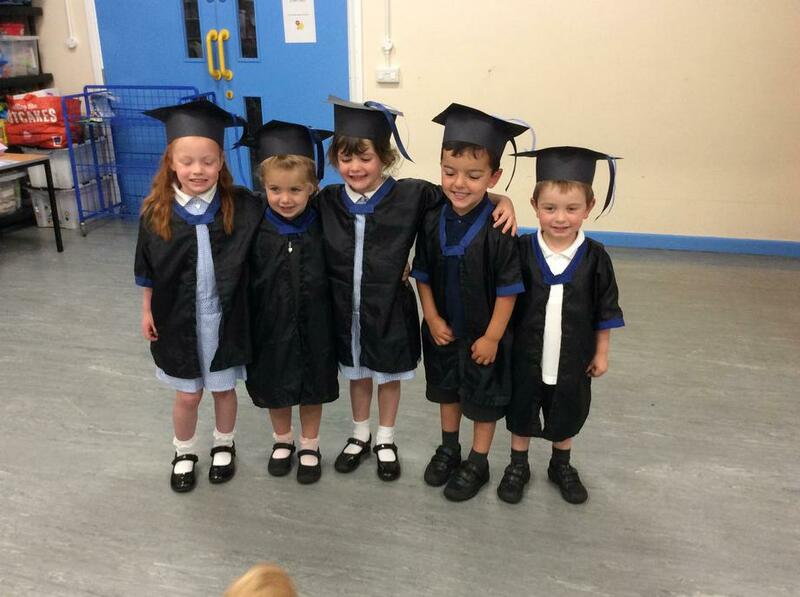 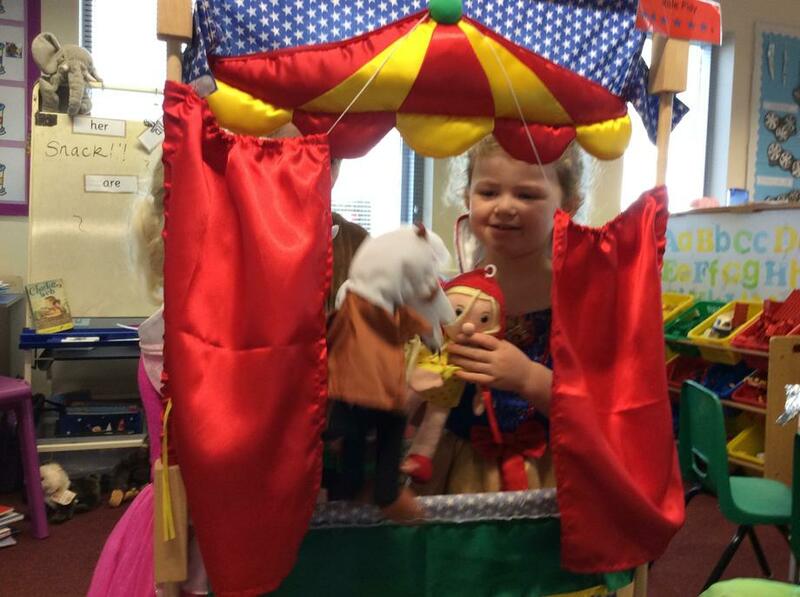 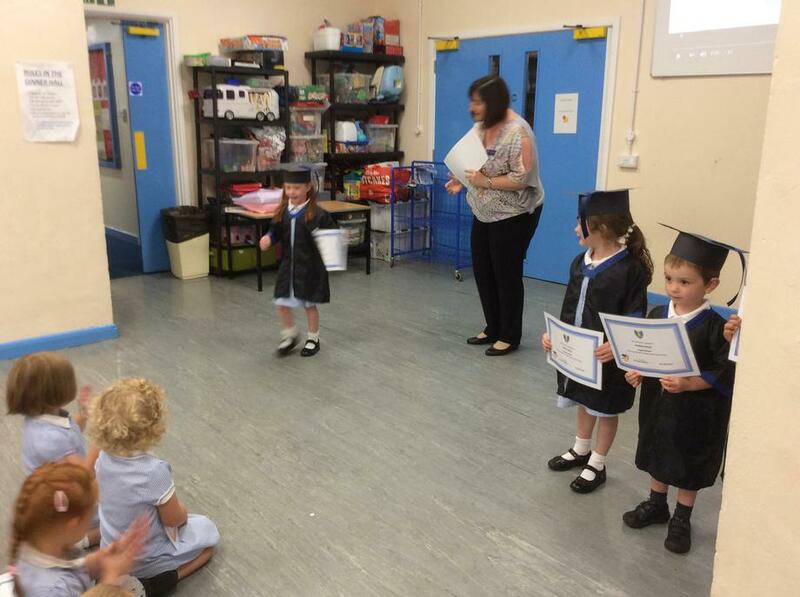 Our Nursery children last year graduated with pride into Reception children.